When I get bad case of wanderlust on Mondays, I often find myself immersed in travel blogs. 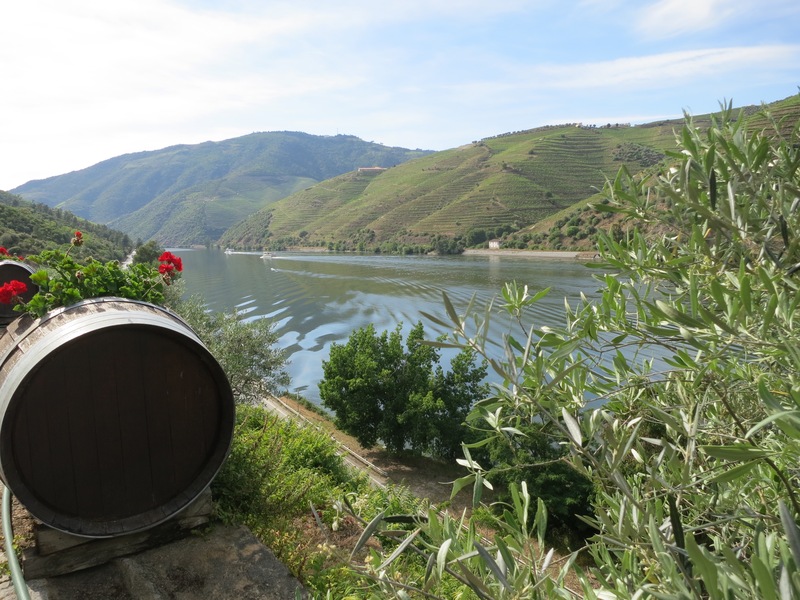 In less than three weeks I’ll be jetting off to Spain to make new memories, but today I’m going to share my much delayed recap of the Douro Valley in Portugal. With a place as gorgeous as this where do I even begin? 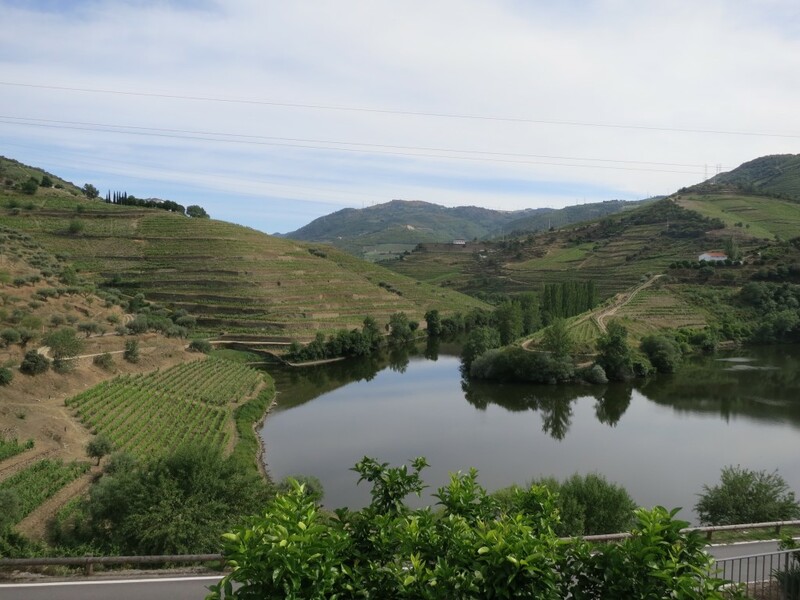 When we decided to go to Portugal, I knew we had to try to make the trip north to the Douro Valley, despite the long drive from Lisbon. 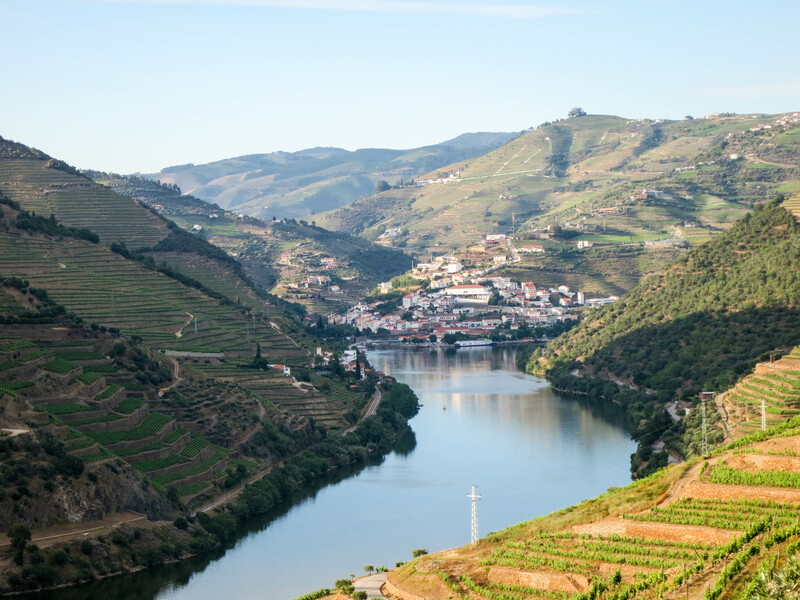 The Douro Valley is the up and coming wine region in Portugal, situated along the Douro River. There are some really great wines there at reasonable prices because the area is often skipped by wine enthusiasts, though they are starting to take note (as evidenced by articles like this and this). 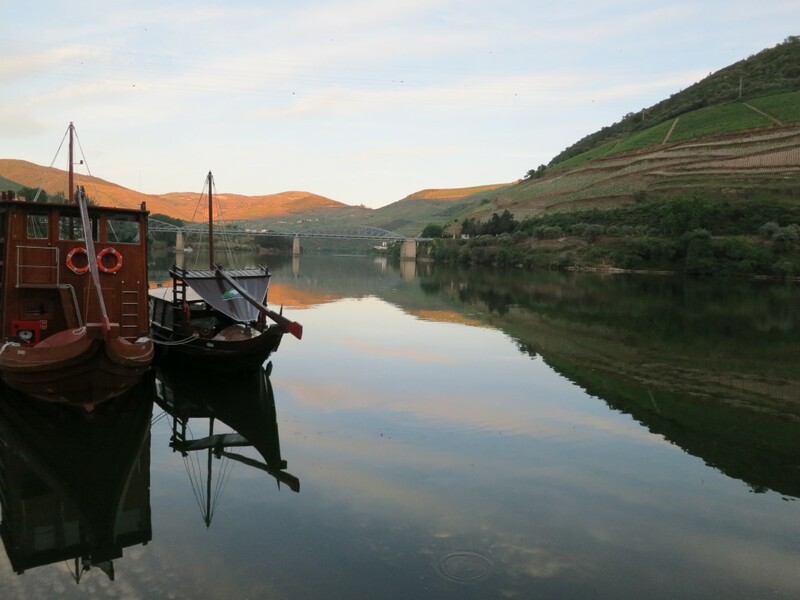 The Douro Valley has repeatedly been named one of the most beautiful wine regions in the world, and I can attest that it lives up to that name! Though we were only able to spend about 24 hours there, it was worth the trip. 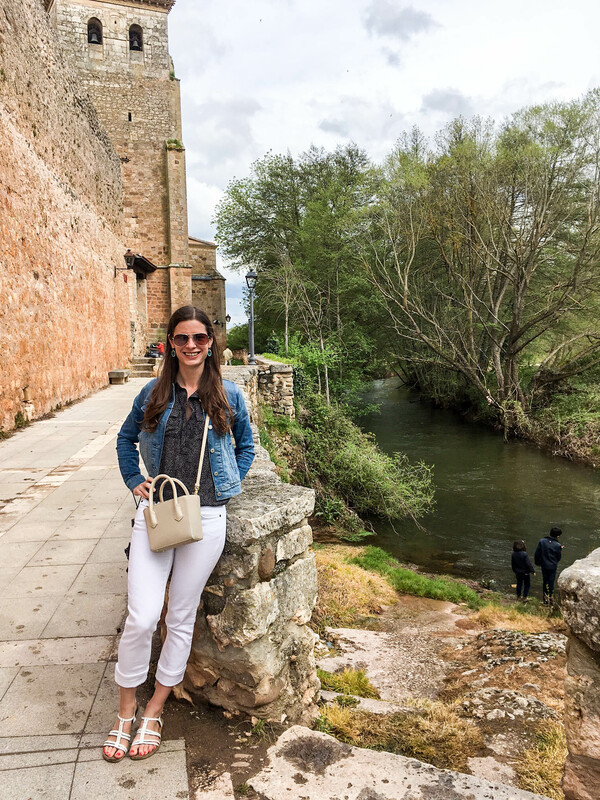 When I was planning our trip, I noticed there were not too many articles and blog posts about the local wineries, so hopefully this post will be helpful to some readers who are planning trips there. 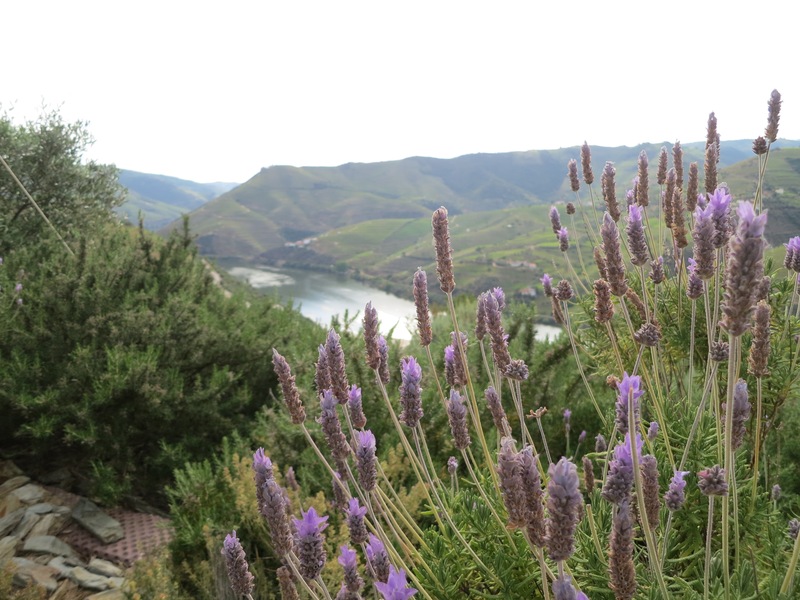 The drive from Lisbon to the Douro Valley was easy and beautiful! I’m always worried about driving in a foreign country, but we got out of Lisbon pretty quickly and once you are on the freeways, the driving is easy. You should be forewarned that the freeways are mostly toll roads and are very expensive. We had no idea we would be spending so much on tolls. On the drive up, we passed many other vineyards and tons of olive and almond trees. 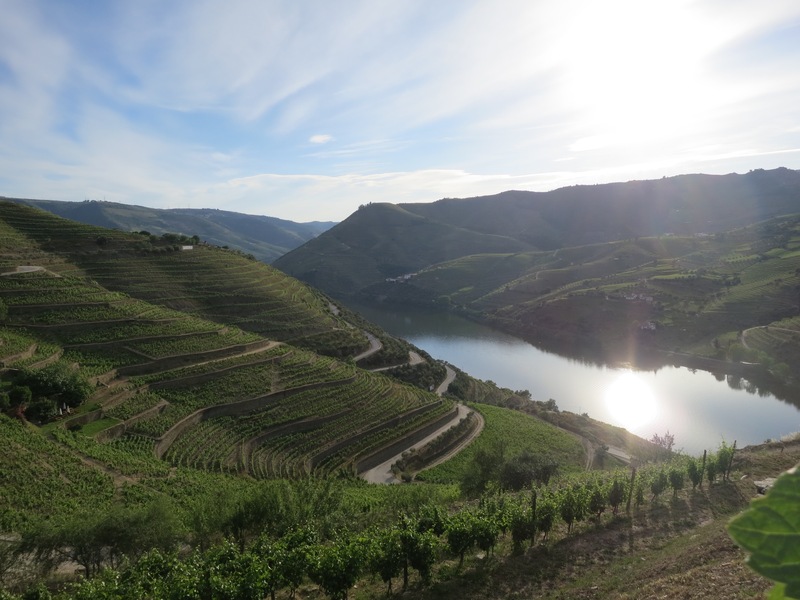 Once we got into the Douro Valley area, the views were absolutely gorgeous. 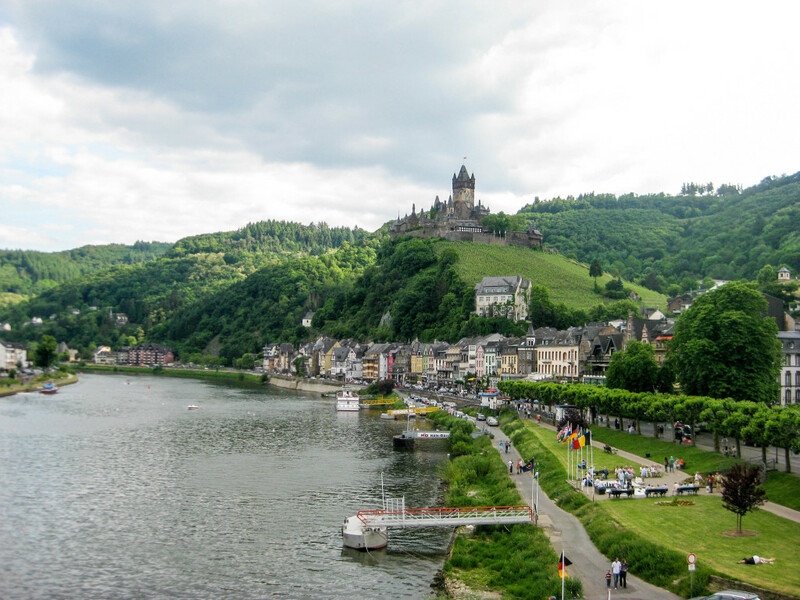 The vineyards on the sides of the hills overlooking the river reminded me of the Mosel River region in Germany. Driving from vineyard to vineyard took us through incredibly windy and steep roads with the most amazing views – it’s certainly a drive I will always remember (scroll down for a video clip of our drive)! 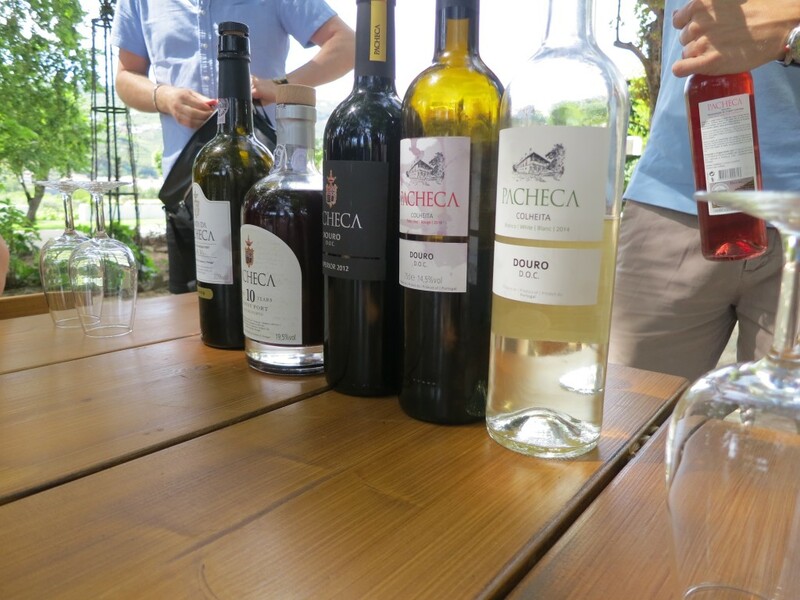 We had made a reservation for lunch and a tour and tasting at Quinta de Pacheca to start off our Douro trip. We ended up being an hour late, but they were very accommodating. Lunch was good but a bit pricey (for Portugal). 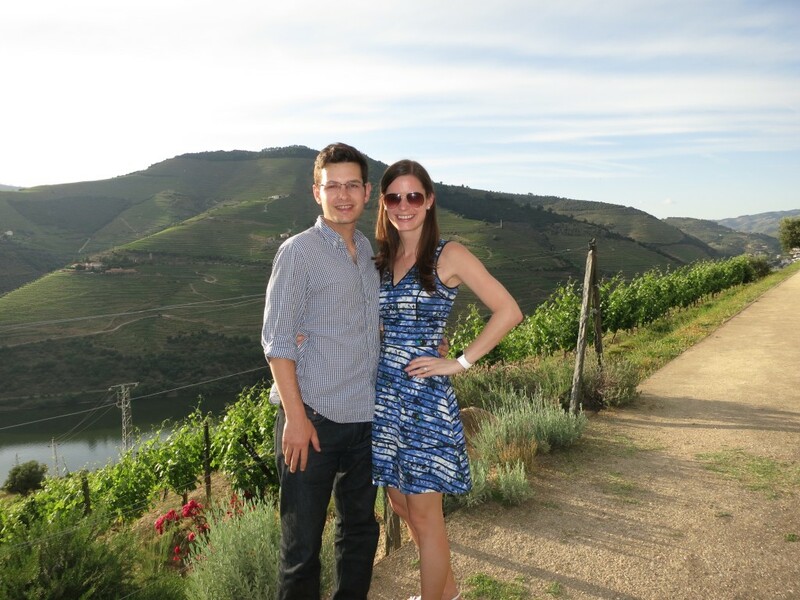 The tour and tasting, however, were my favorite from all the vineyards we visited! 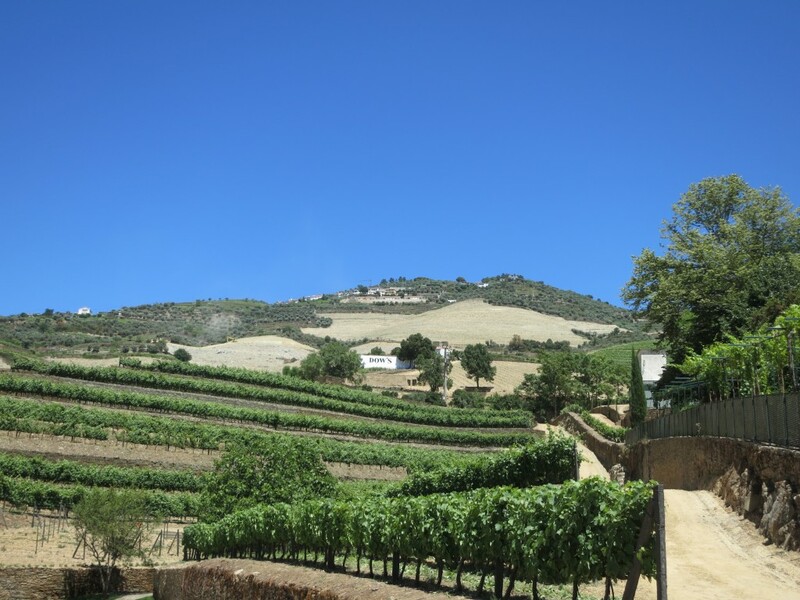 I would definitely recommend making an appointment to visit Quinta de Pacheca. We tasted a Rose, a white, two reds, and two ports. I ended up buying the white wine and port, as well as some olive oil. 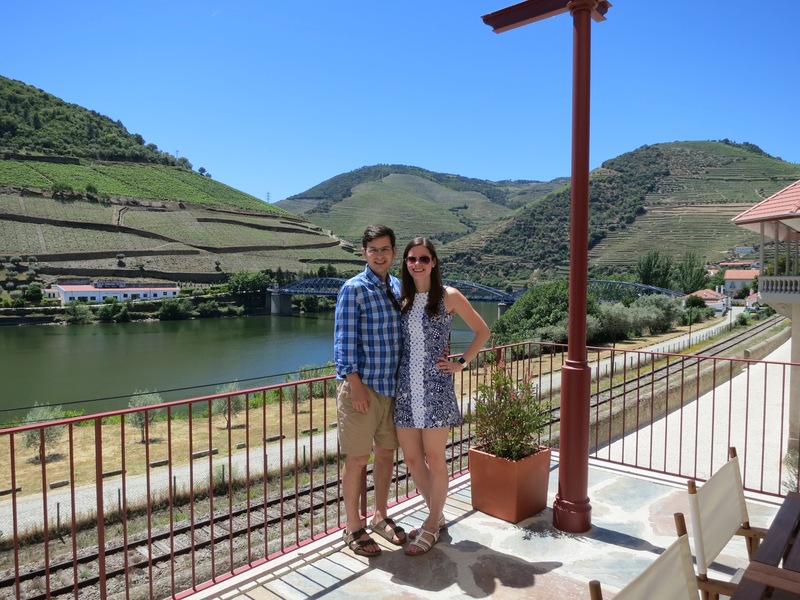 We asked our guide for recommendations for other nearby vineyards to visit on our way to our hotel and were able to make it to two. 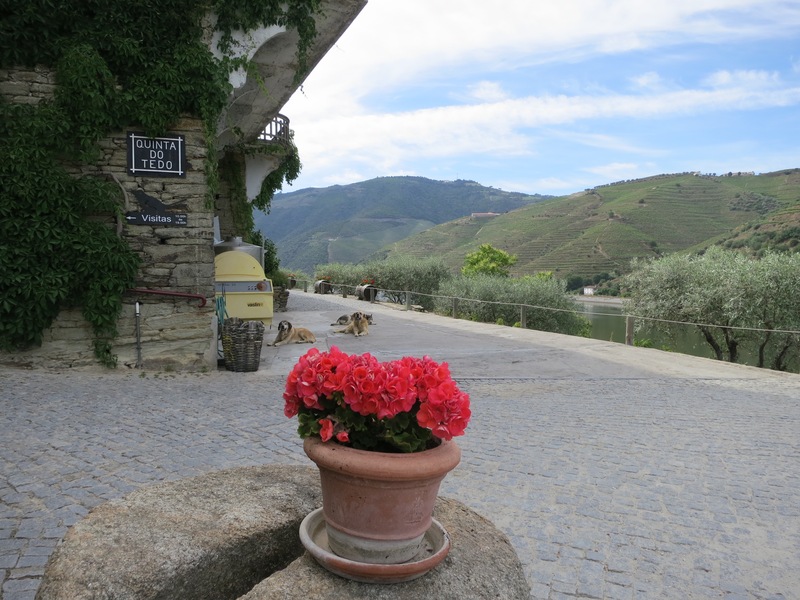 First, we headed down the road to Quinta de Tedo where dogs truly have the best life! There was only a self-guided tour there, so we did a quick tasting and then walked around a bit to soak in the views and the winery itself. 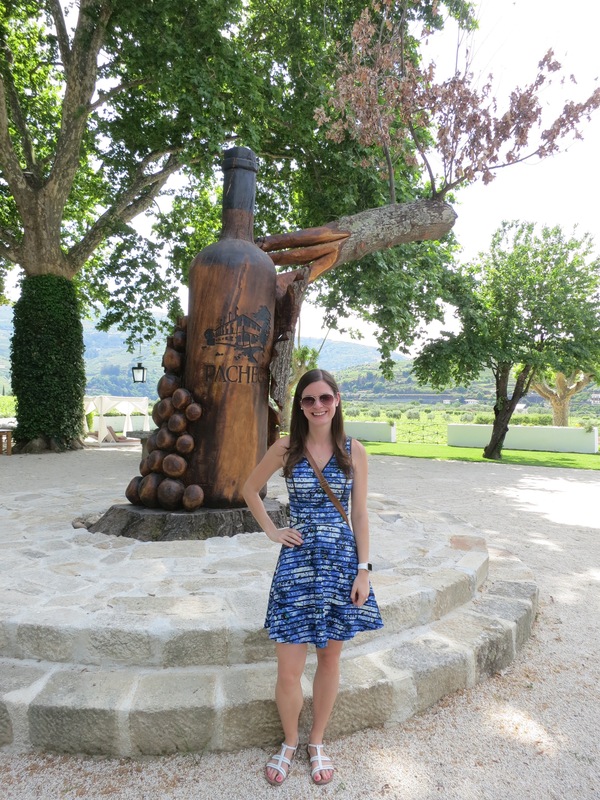 Quinta de Tedo was fun and no appointment is required, so it was worth the stop. Since it was after 5 at that point and Quinto de Seixo closed at 6, we decided to stop by there too. Unfortunately, upon arrival we were told the tours were done for the day but that we could head down to the tasting room. On our walk down, Luke saw a bathroom nestled into the hillside. Little did we know, that bathroom is for “staff only” and the door often gets stuck! 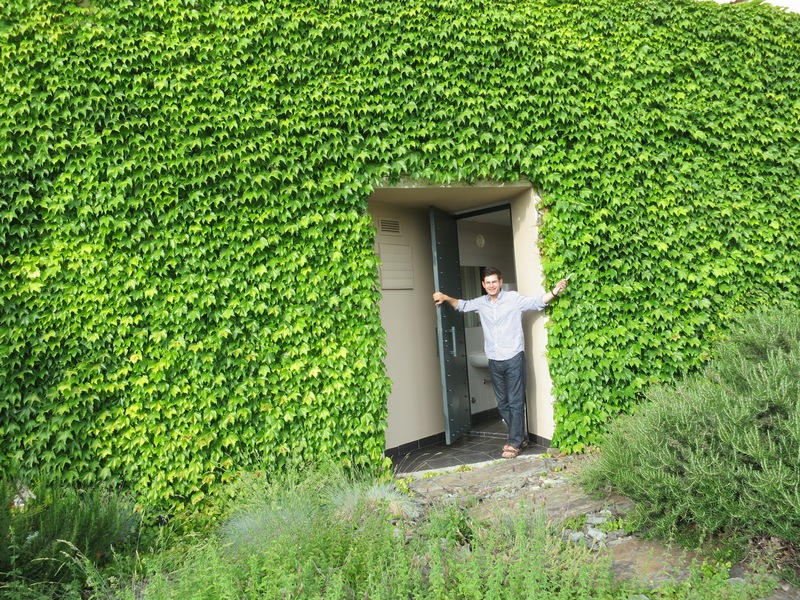 So Luke got stuck in the bathroom in the middle of a vineyard hillside in Portugal. Seriously. After getting the front desk person and him failing to get Luke out, I was able to get the door open with a rock and ruler. Caroline saves the day! After those agonizing few minutes, we headed down to the tasting room (which was almost closed by that point!) 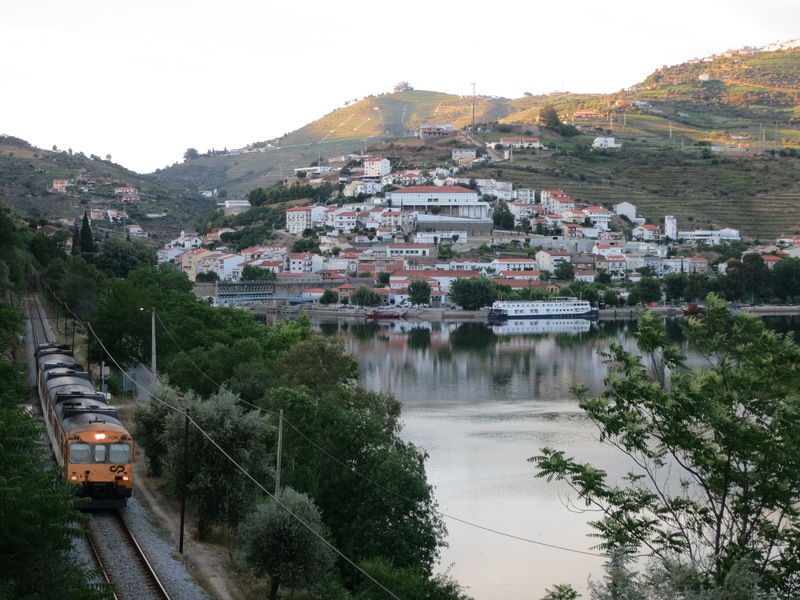 that had an incredible view over the Douro River. 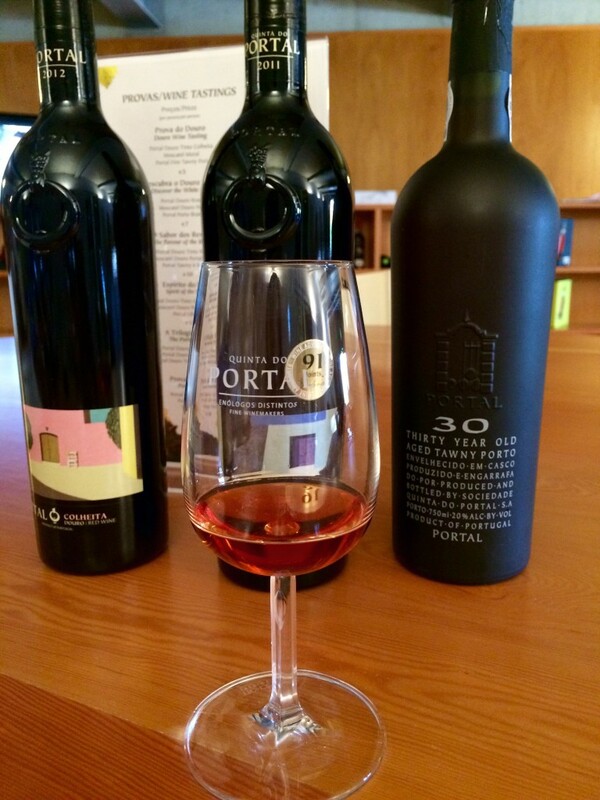 We tasted ports and wines, including an expensive 40-year port that Luke got on the house for his bathroom troubles, and enjoyed them all. If you go to Quinta de Seixo, I’d recommend making an appointment and trying to go when they have tours. 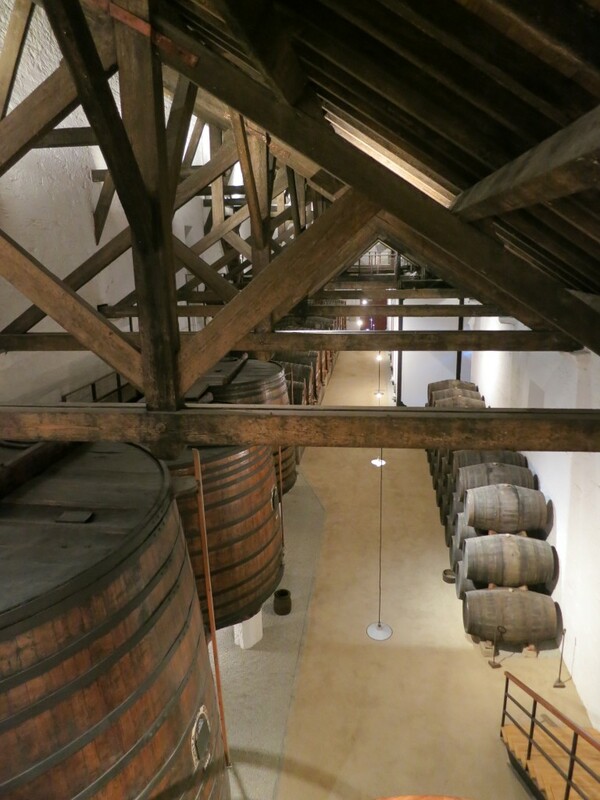 It’s very popular because it is where Sandeman port is sourced. From there, we headed to our hotel to check in before going to dinner. 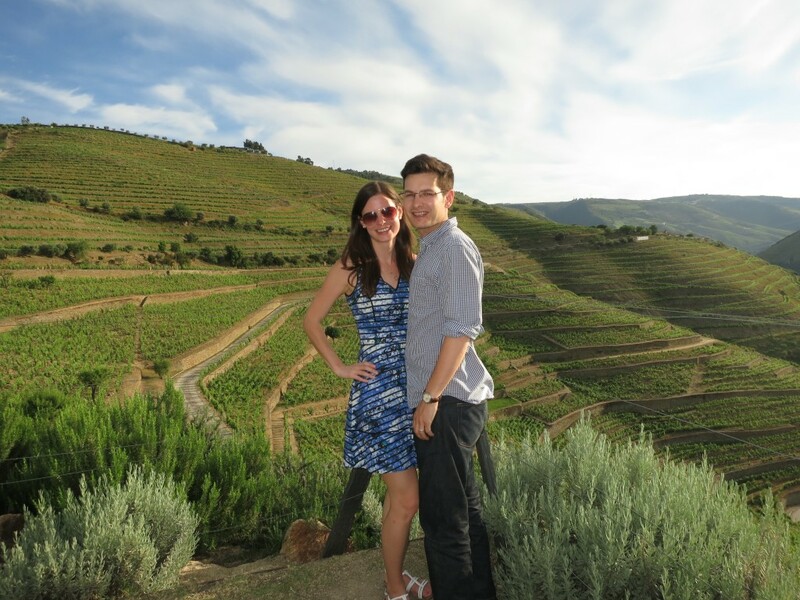 As I mentioned before, we really enjoyed our stay at Quinta de le Rosa. 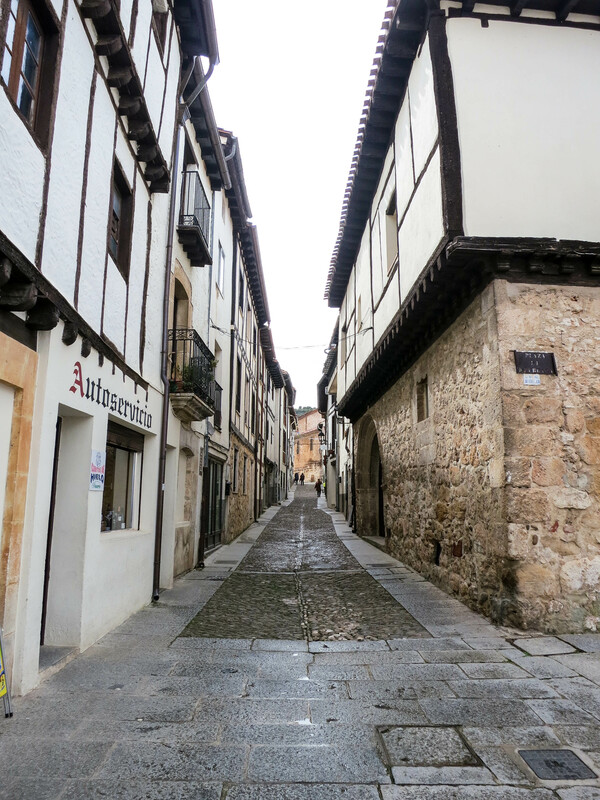 It was close enough to the village of Pinhao that we were able to take a leisurely stroll down to town for dinner. We didn’t know that not much is open in town on Monday night. We had to settle for one of the only restaurants open, which was good but not amazing. 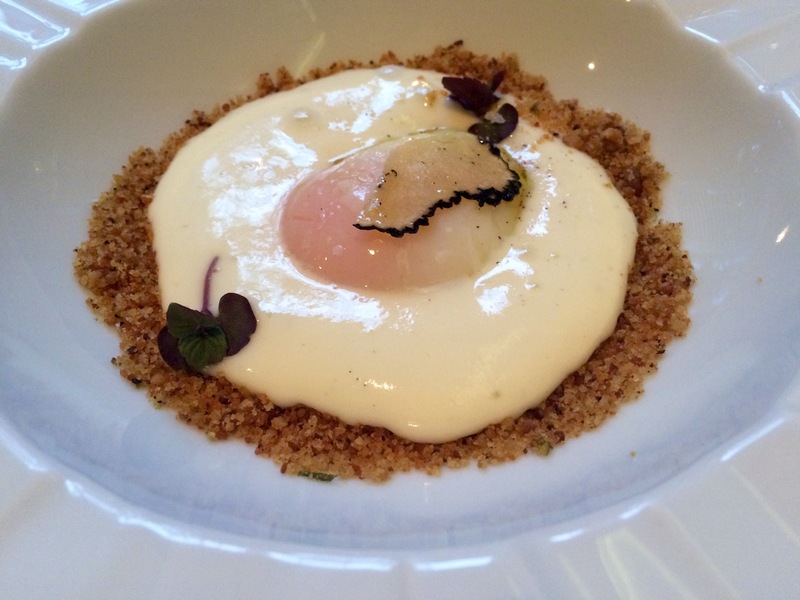 I’d recommend making a reservation to at Quinta de la Rosa if you are there on a Monday. On Tuesday, we slept in for the first time of the trip and it was wonderful. We had a delicious breakfast on the hotel’s patio overlooking the Douro before heading down to do a tour of the winery and a tasting. 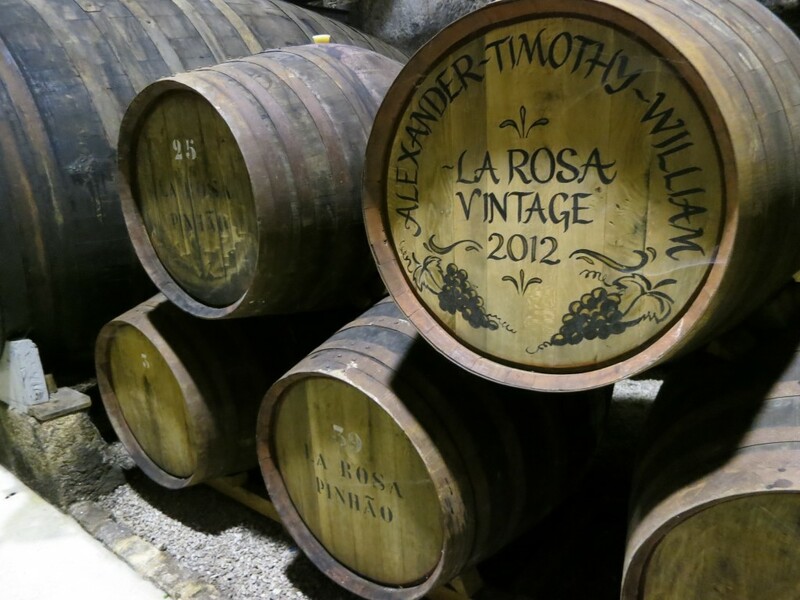 After our tasting, we wandered around the property one more time and said our goodbyes to Quinta de la Rosa – we wished we could have stayed a few more days! Since we only had one reservation in the afternoon, we decided to wander a bit and see if any of the nearby vineyards were open. We hit a dead end at one vineyard, but arrived 20 minutes before a tour and tasting were set to begin at Quinta de Bomfim. This vineyard has been producing wine for years, but had just opened to the public the week before. 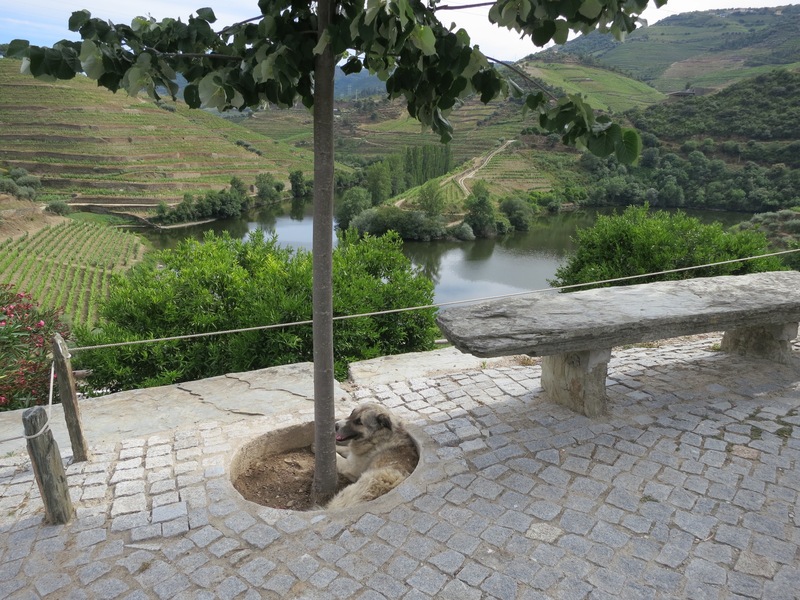 They built a beautiful museum welcome area, a state of the art remodeled winery, and a beautiful tasting room with a patio overlooking the Douro. 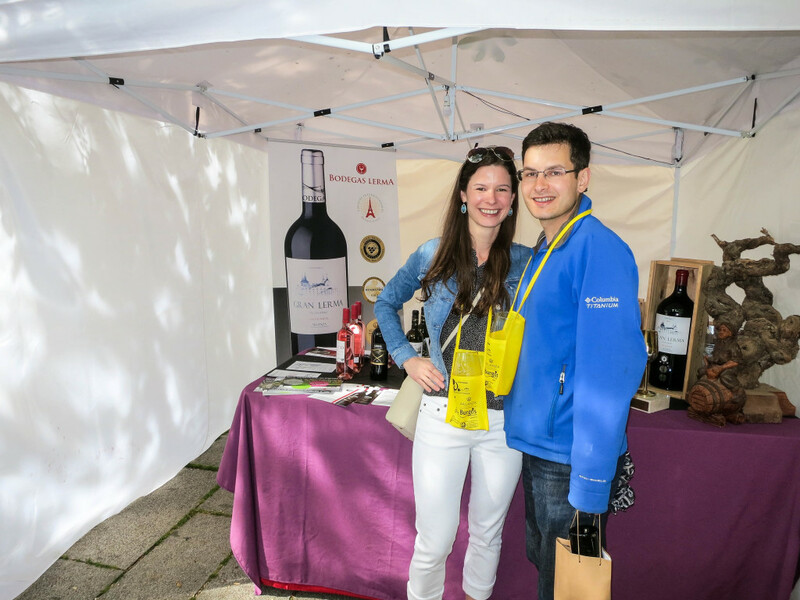 The tasting here ran a little late and we were in a rush to make it to Quinta de Portal for our tour and tasting appointment. The vineyard wasn’t far, but the roads that took us there were some of the windiest and steepest roads we had ever been on. It was one of the most exciting drives with breathtaking views – I only wish we hadn’t rushed through it! The video below will give you a taste of the gorgeous and winding drive, but be warned it may make you dizzy! Quinta de Portal might have been my second favorite tour that we did. Our guide was very informative. The only problem was that at the end of the tour, you have to choose three wines to taste out of an entire book! It was extremely difficult, but our guide helped us a bit and we ended up pleased with our choices. After leaving Quinta de Portal, we were starving and took our tour guide up on a local restaurant suggestion in a nearby town. 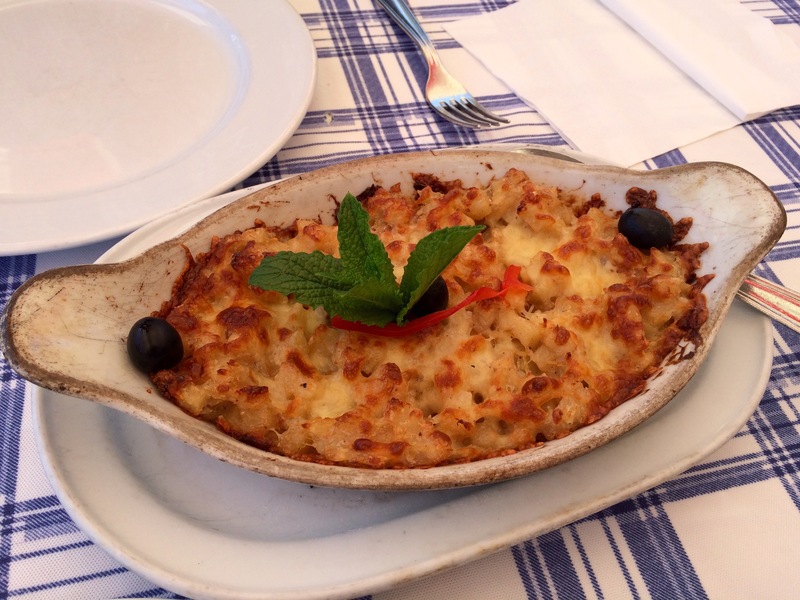 It happened to be a pizza restaurant, but they had some cool local food as well, like this Bacalao (cod fish) “mac n cheese” pictured below. After our late lunch, we started our two hour drive to Porto. The only thing that can make leaving the Douro Valley a little easier is being on your way to a city as cool as Porto! 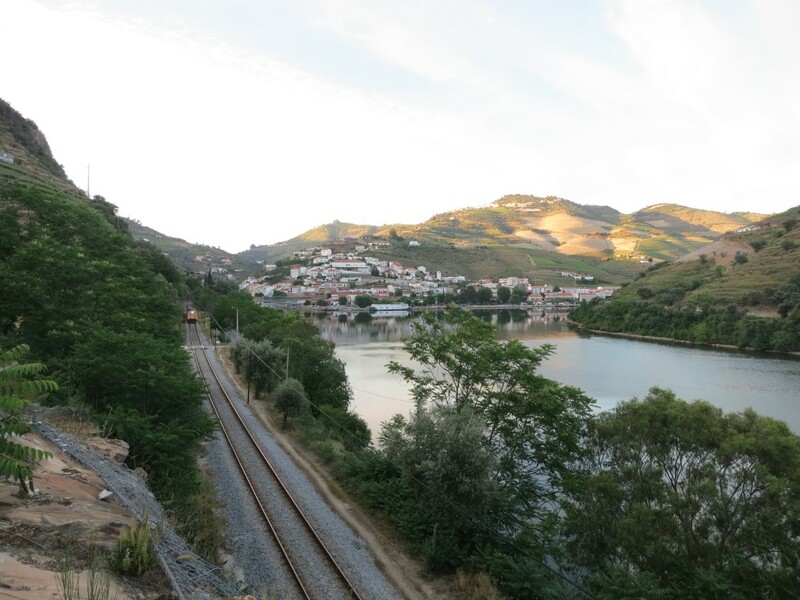 Hopefully I will evtually blog about our short stay in the city renowned for port wine and the Douro River. 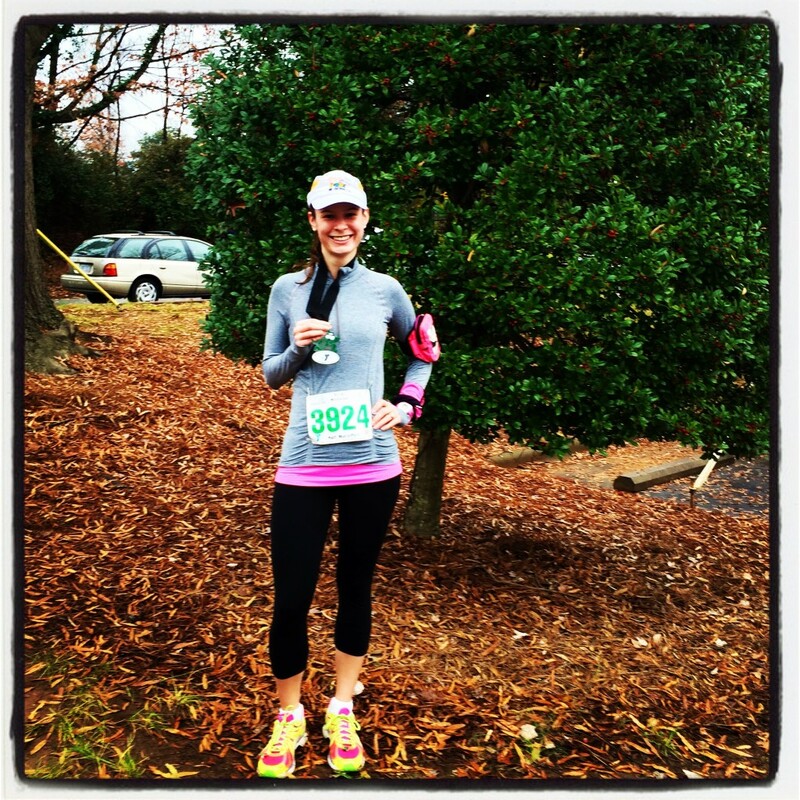 This past weekend I set a personal record running my fourth half marathon! I crossed the finish line at 2:15:38 (2:13:20 on my Garmin). I ran the half marathon 10 minutes faster than my previous PR! I felt pretty good the whole race, which is very unusual for me on a long run. I kept up with the 2:10 pace group for the first 6 miles. When I realized I had a chance at coming in at 2:15 in the last couple miles of the race, I decided to push myself. I ran the last mile at a 9:27 pace! I still can’t believe it. 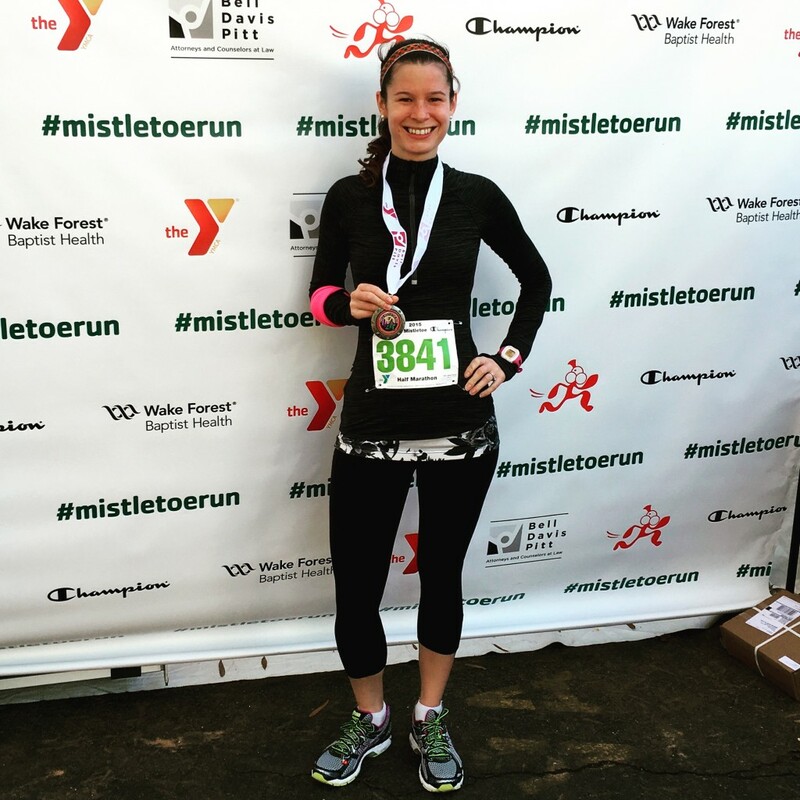 I never thought I would run a PR at the Mistletoe Half Marathon because it is such a hilly course. I am so glad I gave it my all! You might notice that my Garmin watch reappeared on my arm for the half marathon. Why not my Apple Watch? The Apple Watch fails to function when running in the cold. Overall, I really like my Apple Watch. I like the activity app. I like getting text notifications on my wrist. I like using it to record my Pure Barre workouts. Up until recently, I even liked it for running. I love the heart rate functionality of the Apple Watch. Being able to look down and see my heart rate without having to wear a chest strap is awesome. However, there are a couple of features that annoy me about using the Apple Watch for running. I don’t like using force touch to pause a run if I get stuck at an intersection. It doesn’t always respond. Pressing a button on my Garmin is a lot easier and more reliable. I also don’t like that the workout app does not have a walk:run function as the Garmin does. Since I use the walk:run method, that was a nice feature on my Garmin. In addition, if you are on a long run, the Apple Watch battery drains FAST. I don’t think you could use it training for a a full marathon as mine barely made it through 12 miles on a full charge. Despite those shortcomings, I switched from my Garmin to my Apple Watch for running and have continued using my Apple Watch on runs up until a couple of weeks ago. The first run when I had to wear long sleeves the Apple Watch stopped functioning. Unless it has contact with your skin, it does not work properly. First, it constantly locks itself. Punching in your passcode to unlock your watch while running is a huge hassle. Beyond that, it will auto-pause almost immediately, and continue to do so for the remainder of your run. Since you don’t know it is doing that, you can run three miles before looking down at your watch to see it paused at 0.2 miles. How annoying! I expected that the watch wouldn’t be able to record my heart rate if I wore it over long sleeves, but I did not expect it to cease functioning. There is a way to get a around the problems: wear it under your shirt or jacket. However, if you do that, it defeats the purpose of using a running watch. 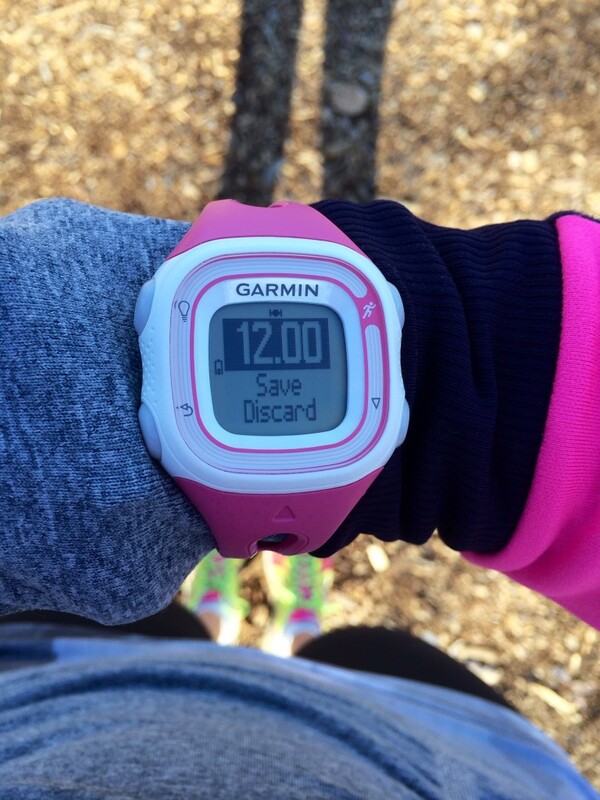 You can’t look down to see your pace, mileage, or heart rate. You can’t pause when you reach an intersection. The only function it keeps is the ability to record your run. In my opinion, this fatal flaw in the Apple Watch makes it much more on par with a Fitbit or similar device. I had high hopes that the Apple Watch could replace my fitness monitor AND my Garmin watch, but for now it appears it cannot. Hopefully Apple will eventually fix this issue with the Apple Watch. Until then, I do not recommend the Apple Watch for running (unless you live in a very warm climate where you never have to wear sleeves!). 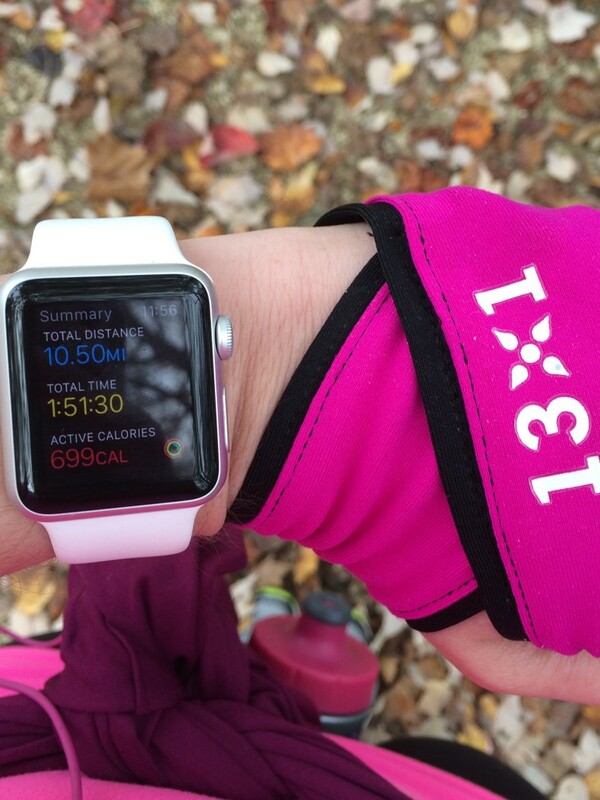 If any runners out there added the Apple Watch to their Christmas list, keep this in mind! I have always loved cookie dough more than cookies themselves. Growing up, I can remember having tubs of cookie dough at sleepovers and digging in with a spoon. I still eat a fair amount of dough when I bake cookies these days, even though I know it’s not the healthiest snack. This past weekend I tried a new recipe that changed that challenged the nutrition value of cookie dough. 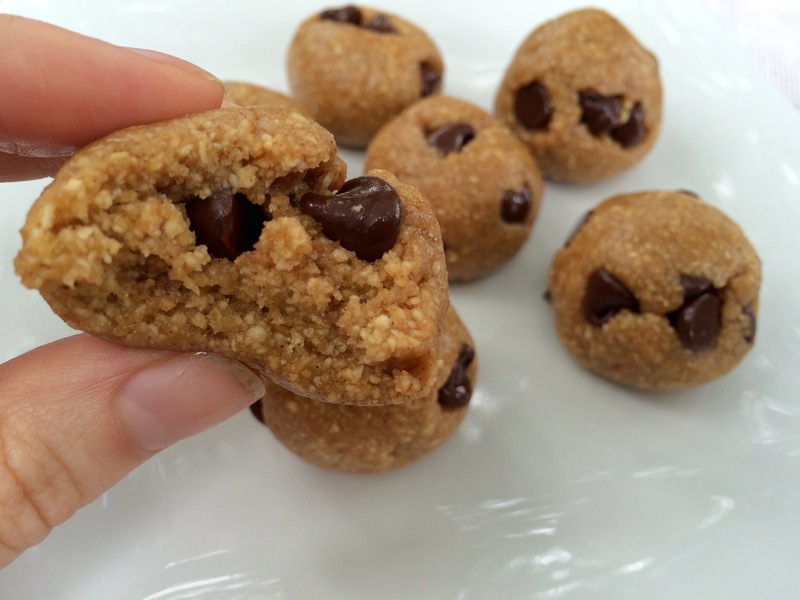 Meet healthy cookie dough bites! 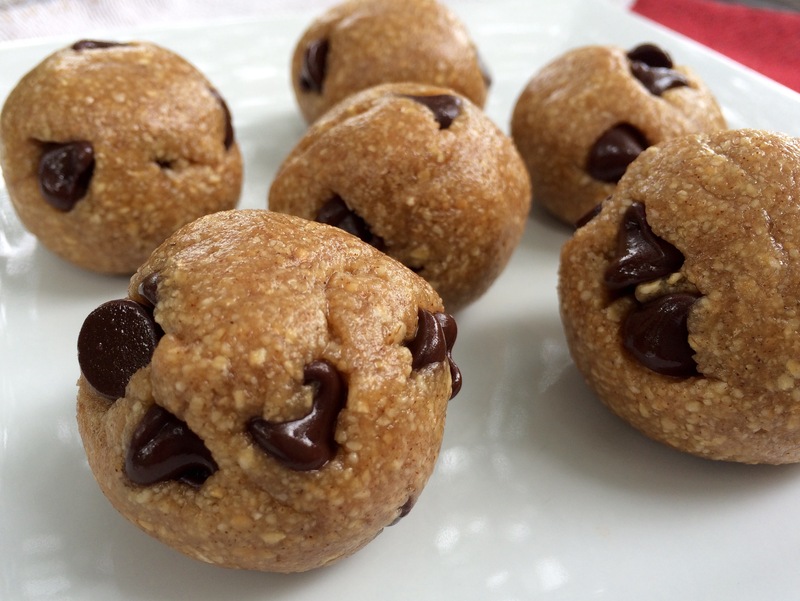 Minimal ingredients, not too much sugar, and made with healthy nuts and oats. I was amazed how much they tasted like cookie dough. Besides the fact that it’s okay to be addicted to this kind of cookie dough, the best part of them is how easy and quick they are to make. They only take five to ten minutes and you can customize them with whatever you are desiring. 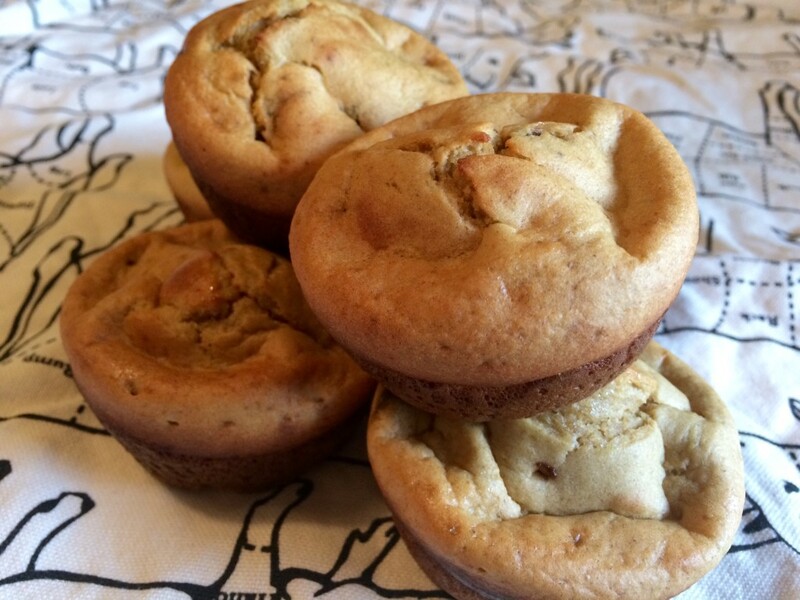 In the mood for the classic chocolate chip? Fold in chocolate chips. Craving oatmeal raisin instead? Fold in raisins. The options are limitless! 1)	Place cashews, oats, salt, and cinnamon in a food processor and pulse until it reaches the consistency of a fine meal. 2)	Add the maple syrup and vanilla and pulse until the mixture comes together and reaches a dough like consistency. 3)	Transfer the mixture to a bowl and fold in chocolate chips or raisins. 4)	Use your hands to roll the dough into balls and place in a parchment or wax paper lined container. You can eat them, refrigerate them, or freeze them at this point. 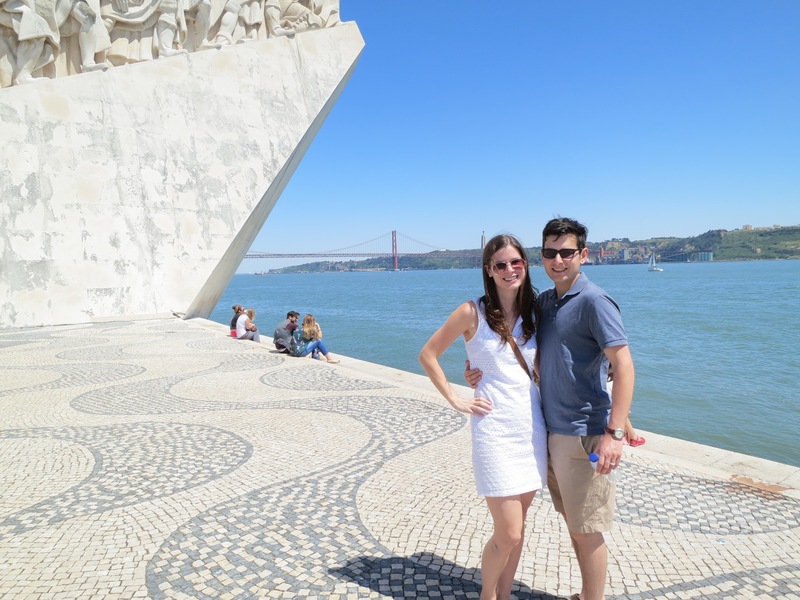 We spent three fabulous days in Lisbon on our Portugal trip. 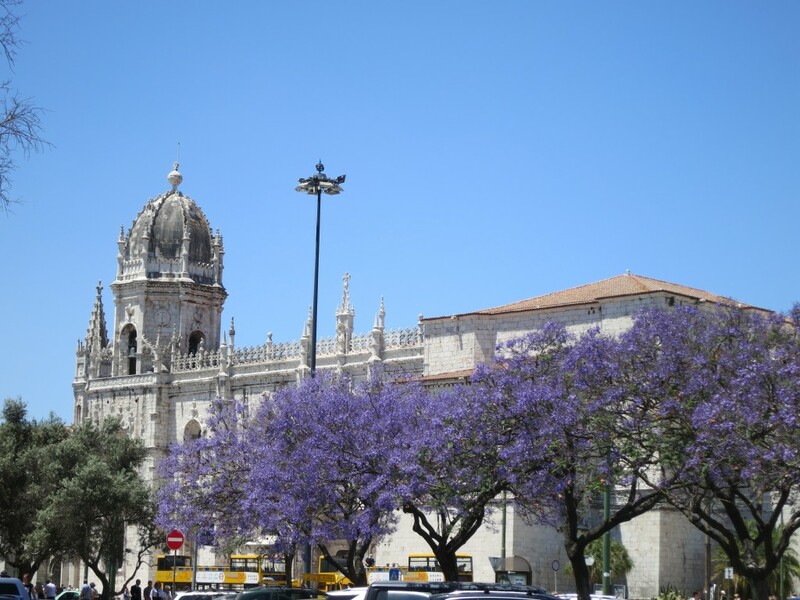 As with all the places we went, I wish we had an extra day or two, but three days was sufficient to see the main sights and get a good taste of Lisbon. 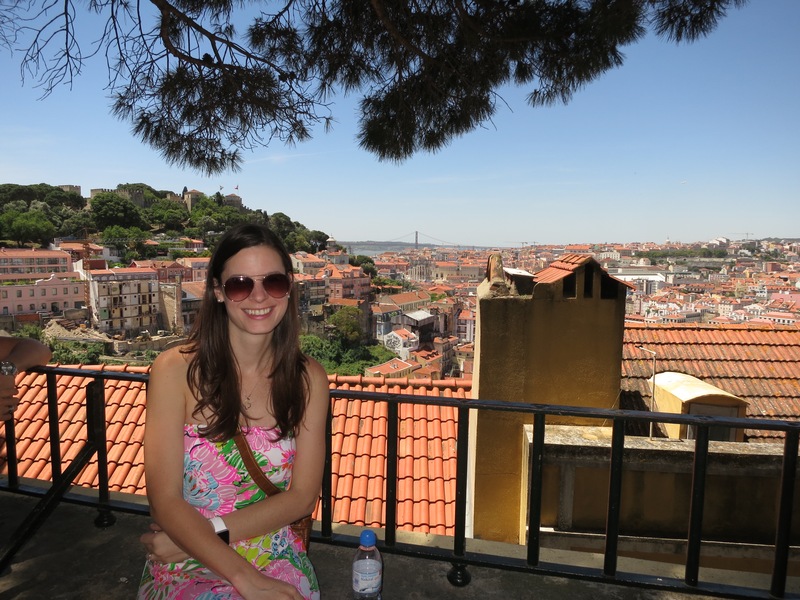 One of my favorite parts about Lisbon was the wonderful views everywhere you went. It’s a city of hills (which will get to you when you’re walking around!) and has a beautiful river. 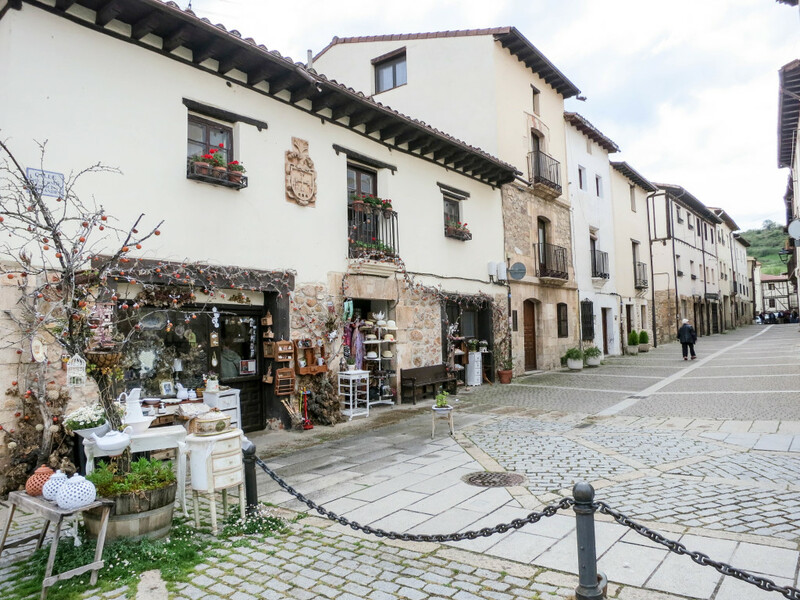 The cobblestone streets and tiled buildings make it a charming place to visit. Our flight arrived into Lisbon at 7:30AM. After getting our baggage, getting a European sim card for Luke’s phone (the BEST way to have internet while you are in Europe and not get lost, only $12 for a week of internet and free texting! 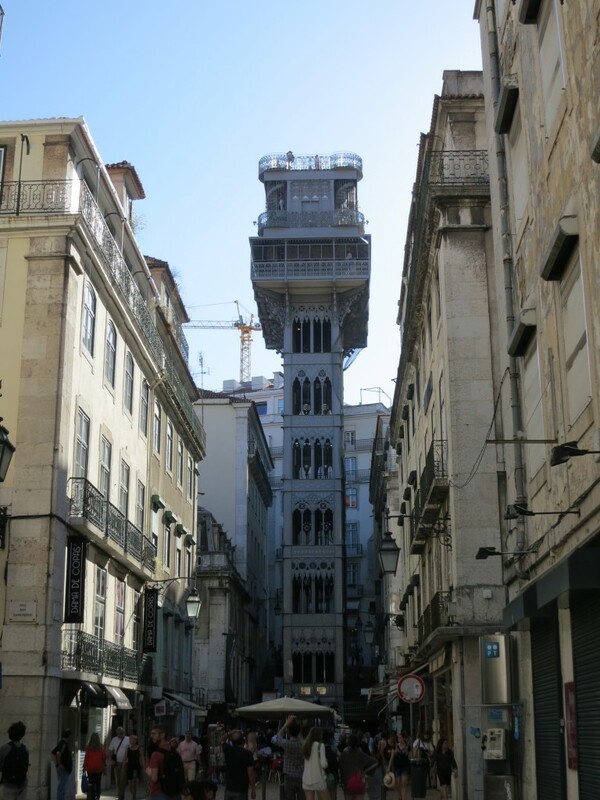 ), we hailed a cab from the airport ($25) and headed to our Airbnb in the Alfama neighborhood of Lisbon. 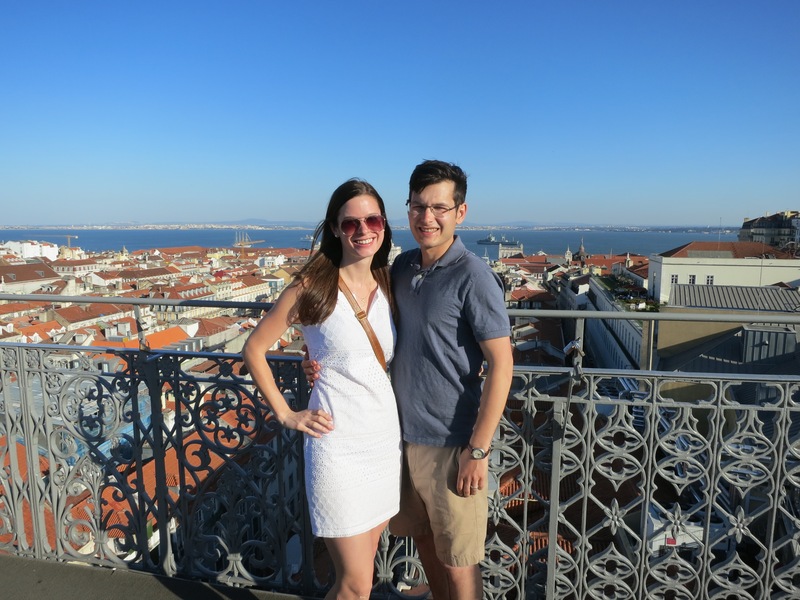 Despite our jet lag, we decided to unpack a bit and go explore Lisbon. 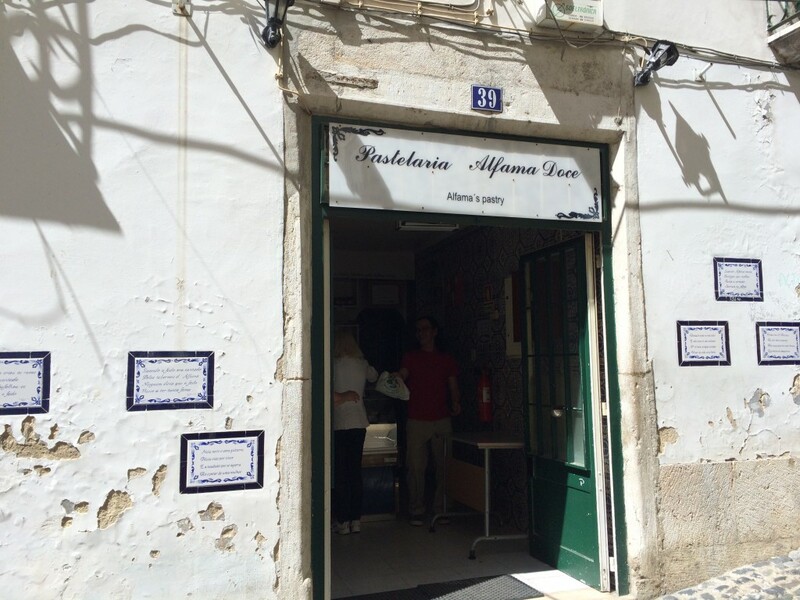 Each morning we were there, we had breakfast and coffee at a wonderful little Pasteleria (Portuguese for cafe) in Alfama called Pastelaria Afama Doce. 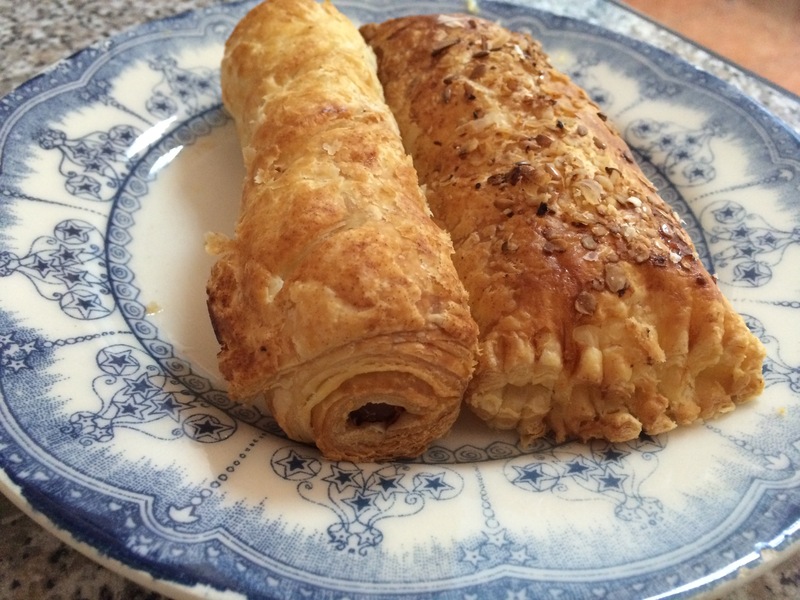 I was worried about what I would eat for breakfast in Portugal, as I’m not huge on sweet pastries, but to my delight they had delicious cheese and sausage pastries everywhere. We tried many varieties and had pastries from other cafes in Portugal, but this place was definitely our favorite. And I loved the coffee too! They served it like a latte and even without flavoring, it was delicious. 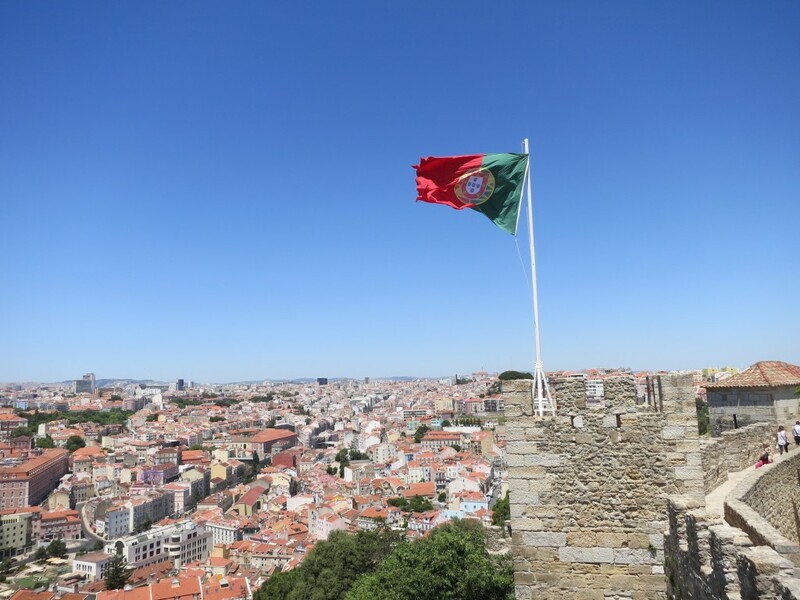 After breakfast, we set out to see a few main sights that were relatively nearby: the National Pantheon, a cool church, a miradouro, and the Sao Jorge Castle. We did a lot of walking that first day in Lisbon (13.62 miles!). After visiting all those sites, we walked over to Time out Mercado for lunch. 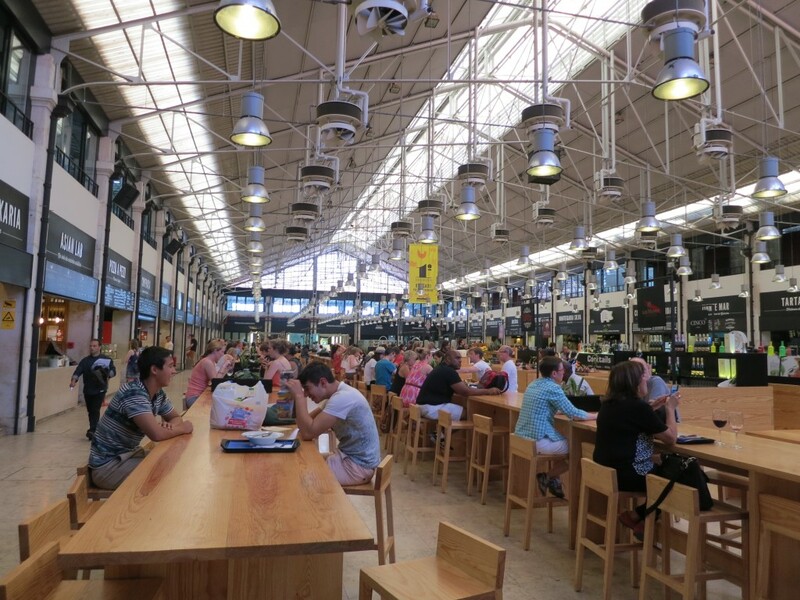 Though we enjoyed tasting a variety of dishes from all of the venues in the market, we would recommend going to a local restaurant for lunch instead. I think you get a better taste of Lisbon at the local restaurants. After lunch, we walked back to our Airbnb for a little R&R. We took a quick nap before heading back out for a little more exploration and dinner. Our dinner on Friday night in Lisbon was our favorite meal from the trip! 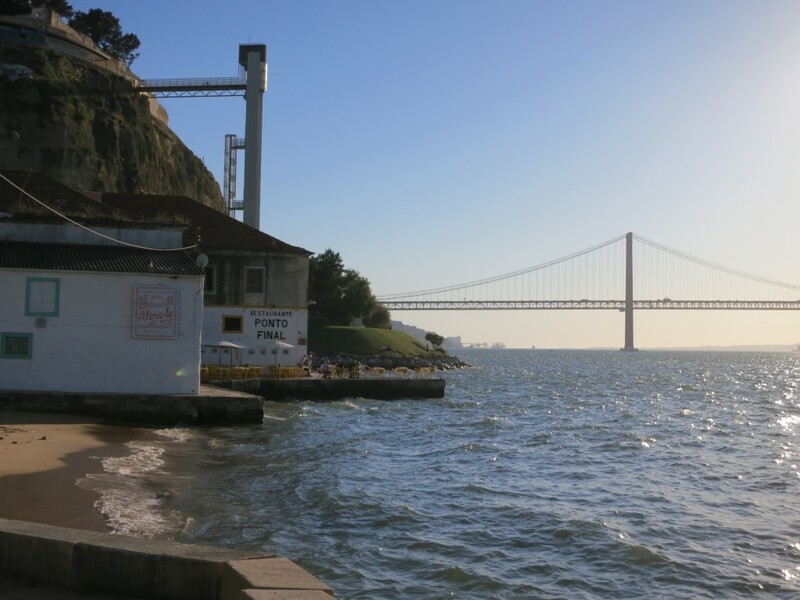 We went took the ferry across the river to eat at Ponto Final. They have tables on a little pier that extends into the river. When I found the place on TripAdvisor before we went, I was crossing my fingers we could get the last table on the pier. I made a reservation to sit outside, but wasn’t sure if we would be able to get THE table. We did! 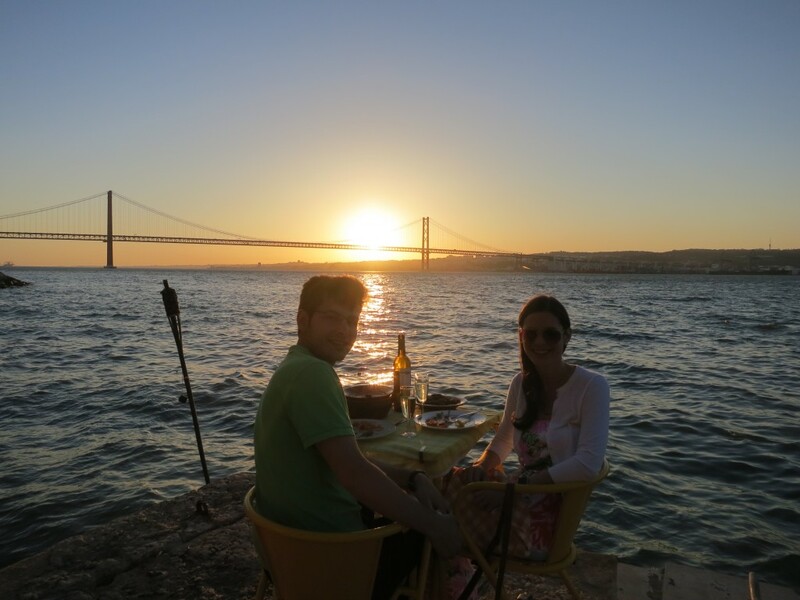 It was the most perfect view of the bridge, Lisbon, and the sunset. The food and wine were great too. 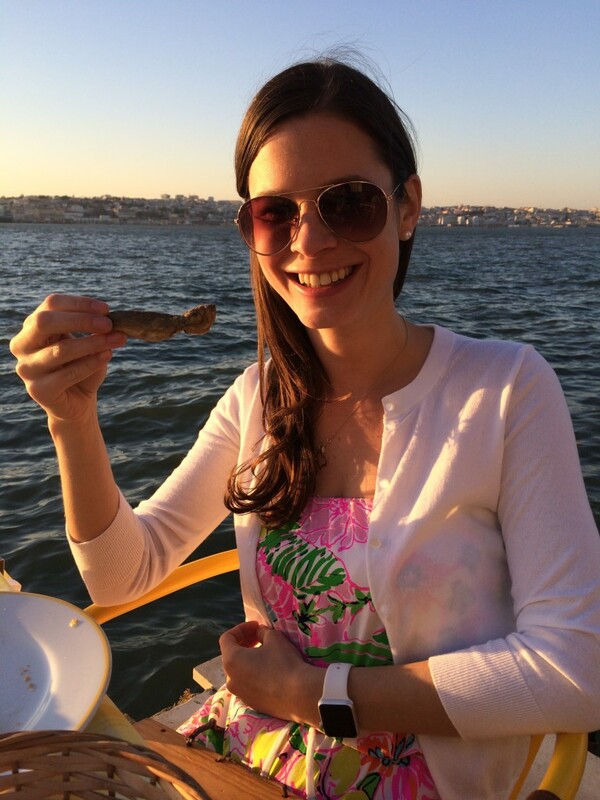 I ate entire fish (head, eyes, bones and all) for the first time! Go to Ponto Final if you’re in Lisbon. It was the highlight meal of our trip and I know it will remain one of my favorite memories. Saturday we woke up and headed to Pastelaria Afama Doce for breakfast again. Then we walked to the National Pantheon to see the “famous” flea market and buy the Lisboa card for our trip to Belem. The flea market was a bit of a bust. It was basically a huge garage sale and didn’t really interest us. 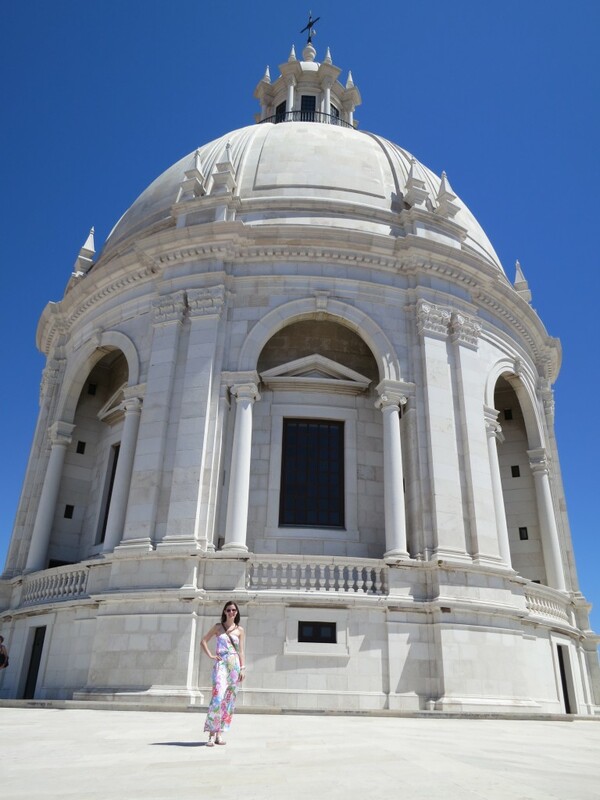 We quickly set out to go buy the Lisboa card inside the National Pantheon. However, though they told us about the card there the day before, they didn’t sell the card there. We then went to multiple places trying to buy the card. Once we eventually got our hands on the Lisboa cards, it was almost noon. The tram going to Belem was very delayed, and eventually, we ended up hopping on a bus. 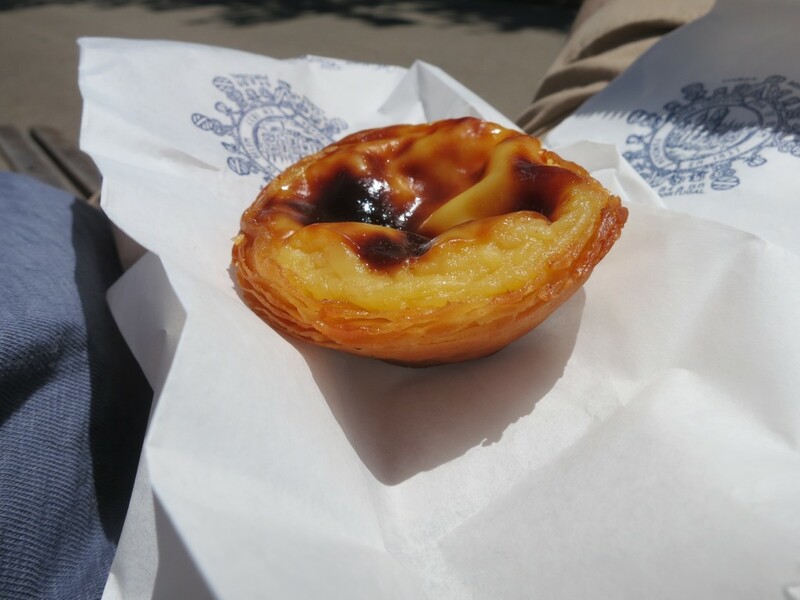 When we finally made it to Belem, we stopped at the famous Pasteis de Belem to get our Pastel de Nate! It was delicious! Layered crispy shell with a not-too-sweet rich custard in the middle. After eating our pastel de nate in a little park, we walked over to the Monestary. Then we stopped at the Padrao dos Descobrimentos statue before grabbing some lunch at a local cafe. 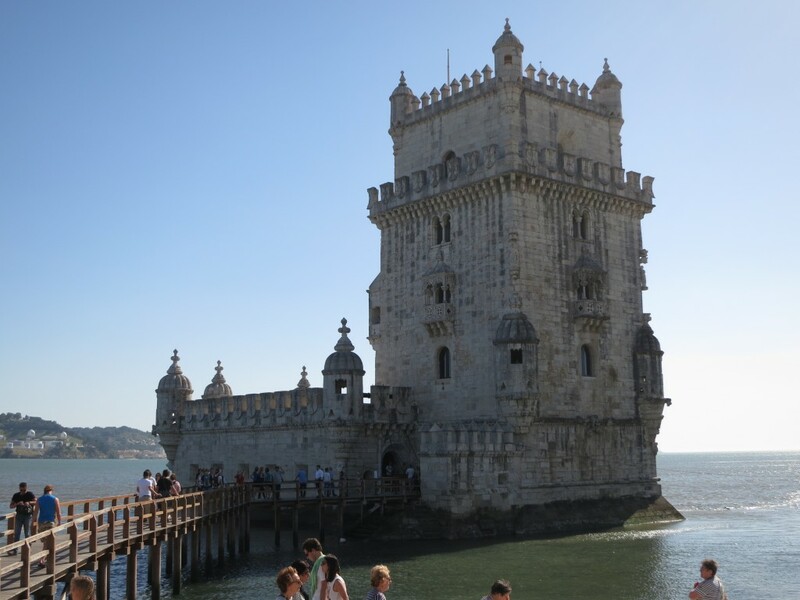 We ended our trip to Belem at the Belem Tower. By the time we got back to Lisbon, it was getting late. We didn’t have much time to go back to the hotel before our reservation for dinner at 100 Maneiras, and we happened to walk by the Sao Justia Lift. So we waited in line and made it to the top of the lift for some wonderful views just in time! Then we headed to dinner at 100 Maneiras, where we had made a reservation after reading rave reviews and getting personal recommendations from a few friends. We enjoyed our dinner there, but it didn’t “wow” me quite as much as I’d hoped. Most dishes were tasty and beautiful, but we had better food at some of our other meals in Portugal. 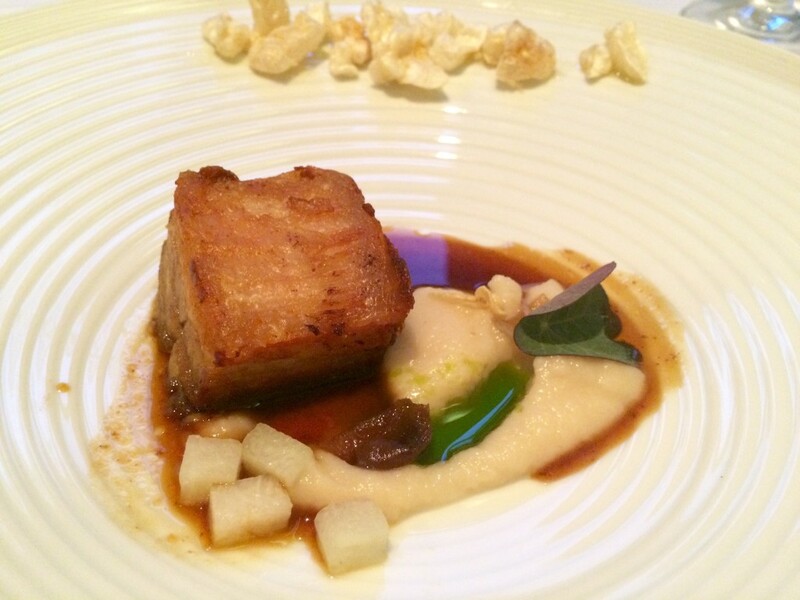 The pork belly and egg dish were our favorite courses. It’s a fun place to go as you get multiple little courses, but if you want a better taste of Portugal, I’d choose a more local restaurant such as Ponto Final. On Sunday, after breakfast at the same pasteleria near our apartment, we walked down to the train station and hopped on a train to Sintra. Our Lisboa card came in handy because we arrived at the station just as the next train did – we didn’t have to wait in line for tickets and were able to make that train! 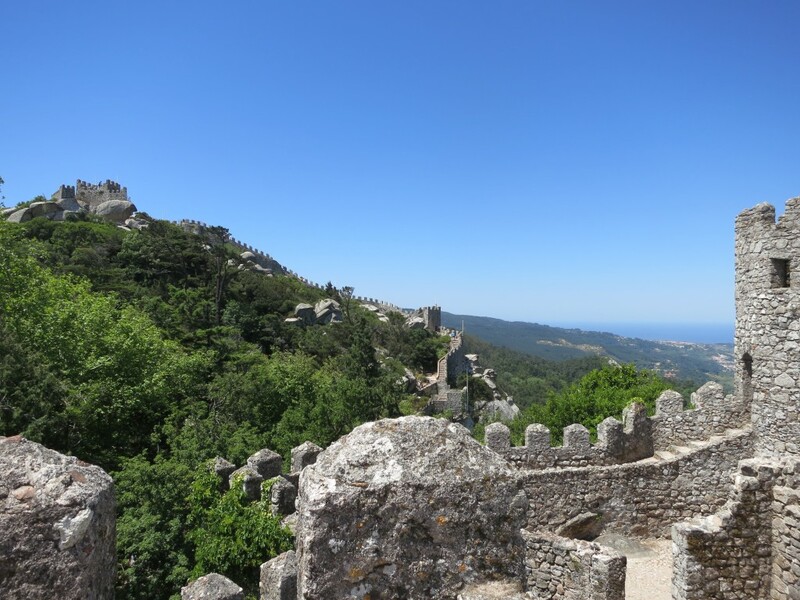 Once we arrived in Sintra, we bought the bus pass and (after waiting a bit) headed over to the Moorish Castle. 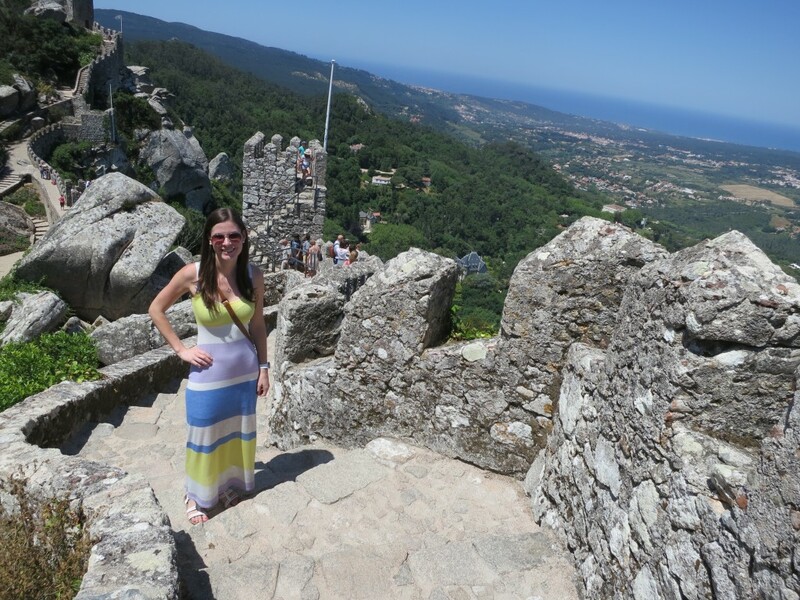 The castles in Sintra were very cool! It was a bit of a hike getting to the top of the castle, but the trip was worth it. From the top of the Moorish Castle you can see the Pena Palace. 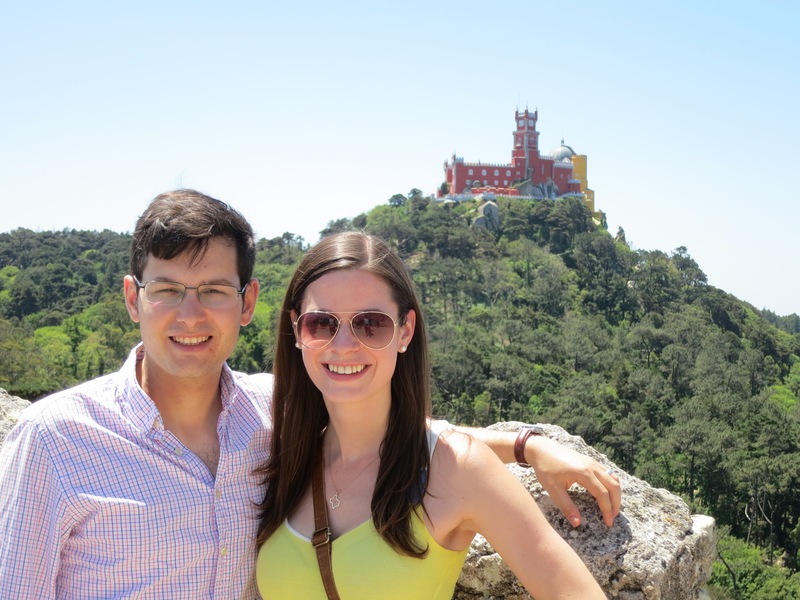 After we hiked up the Moorish Castle, we took the trail over to the Pena Palace. It was a bit of a hike again, but not too bad. There was a bus you could wait in line for (and pay for) that would drive you to the top, but I wouldn’t recommend it unless you’re not comfortable with a mile or two hike. The Pena Palace is straight out of a Disney movie! It’s very colorful and so fun! We were able to walk around inside too. 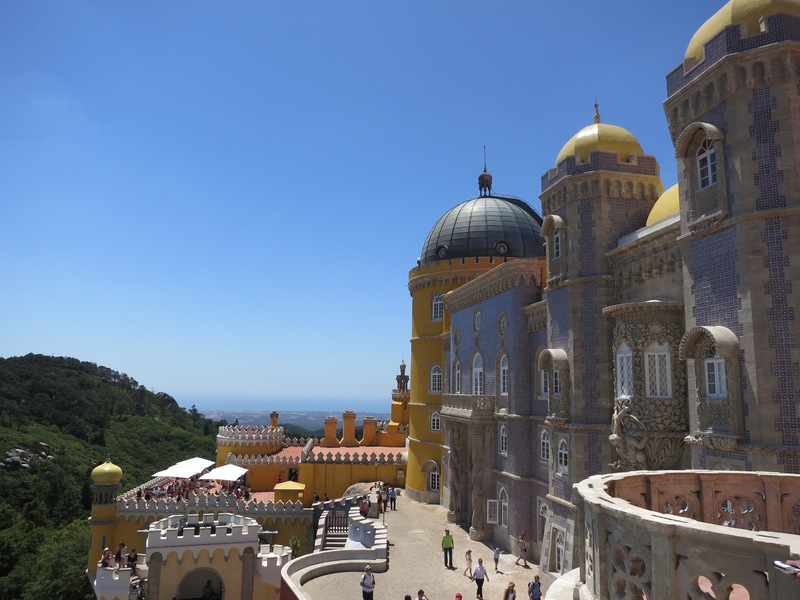 The two castles alone are definitely worth a day trip to Sintra. We were hoping to visit Quinta da Regaleira as well, but after both castles and lunch it was 4 PM. 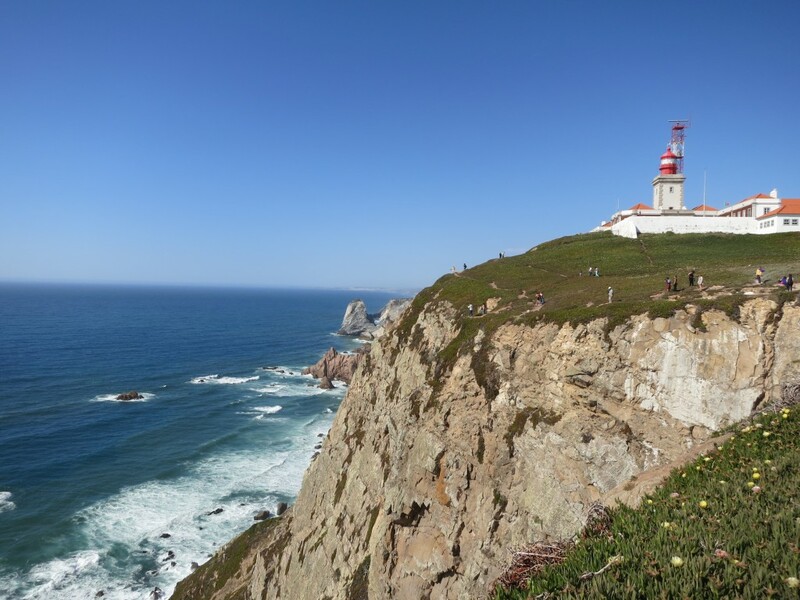 Since visiting Cabo de Roca was priority, we decided head over there after lunch and before we took the train back to Lisbon. 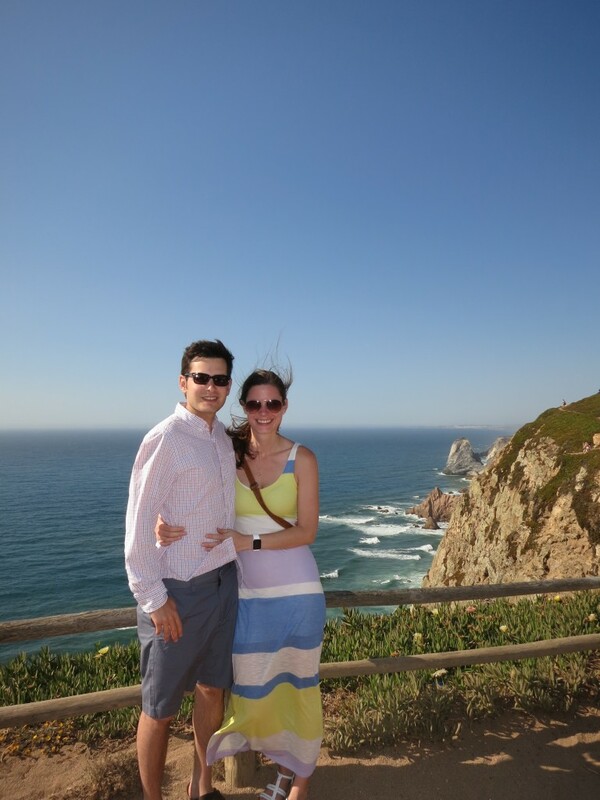 Cabo de Roca is the Western most point in Europe and it was beautiful, though very windy! From Sintra, we took the 403 bus that ran every 30 minutes (an additional fee for this bus). We were able to hop off at Cabo de Roca and spend a bit walking around and admiring the beauty before hopping back on the bus. It was quick, but definitely a must if you go to Lisbon! We ended Sunday with a dinner at a local fado restaurant in our neighborhood. We had no idea there was fado that night, so it was a nice surprise. 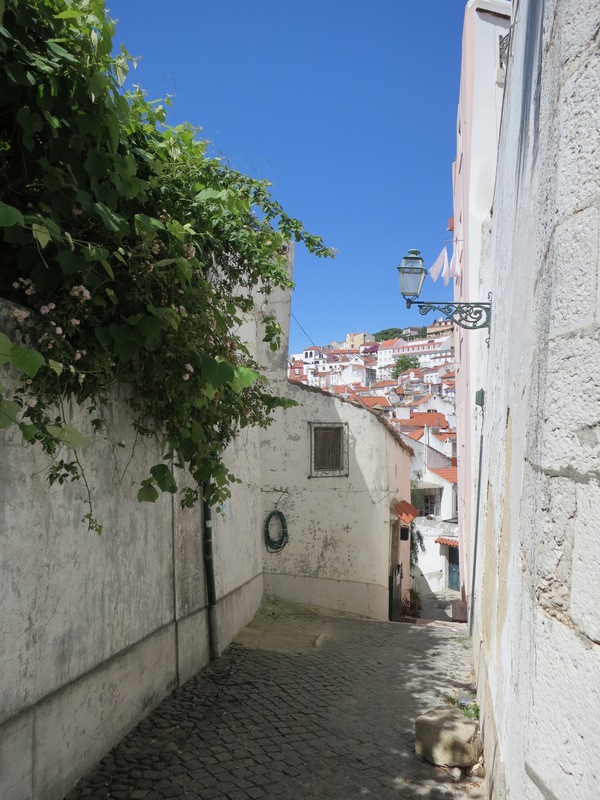 Lisbon is famous for fado music, but the Alfama area is where it all began. Luckily, we were able to end our trip to Lisbon with authentic fado in Alfama! 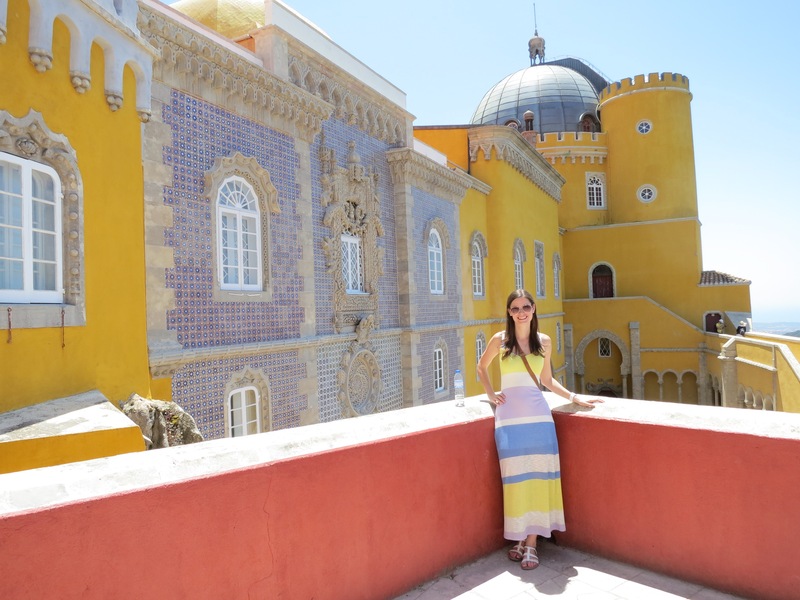 We had a fabulous trip from Portugal and I am finally getting around to recapping our trip! Whenever we travel, especially internationally, I love to read blog recaps of the places where we are going. They’re so helpful in planning a realistic itinerary. After failing to recap our amazing honeymoon in Istanbul and Santorini from last May (which I still hope to do! 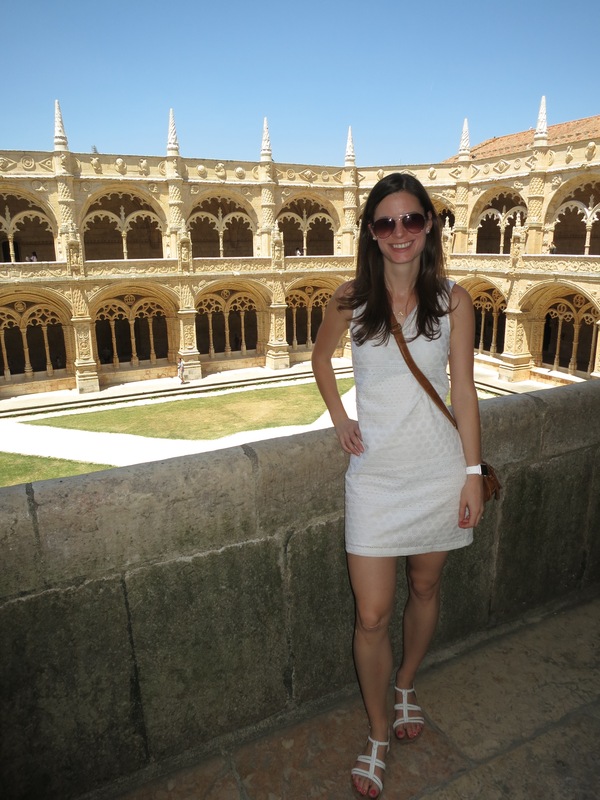 ), I wanted to recap our Portugal trip before I forget all of the fine details. This post will serve as an overview of our trip, and I’ll be posting more detailed recaps of each area we visited. 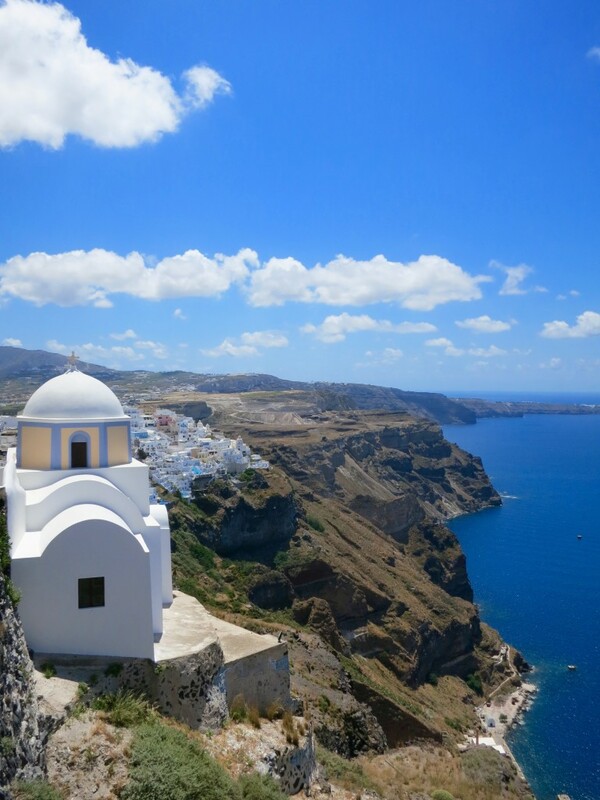 After our honeymoon in Istanbul and Santorini last year, I realized that almost as much as traveling to awesome places, I love planning to travel to awesome places and the excitement and anticipation that comes with it. My Dad instilled in me my sense of adventure and desire to see the world. And I think I got my planning skills from my Mom (AKA the VRBO Queen before it was even a thing). 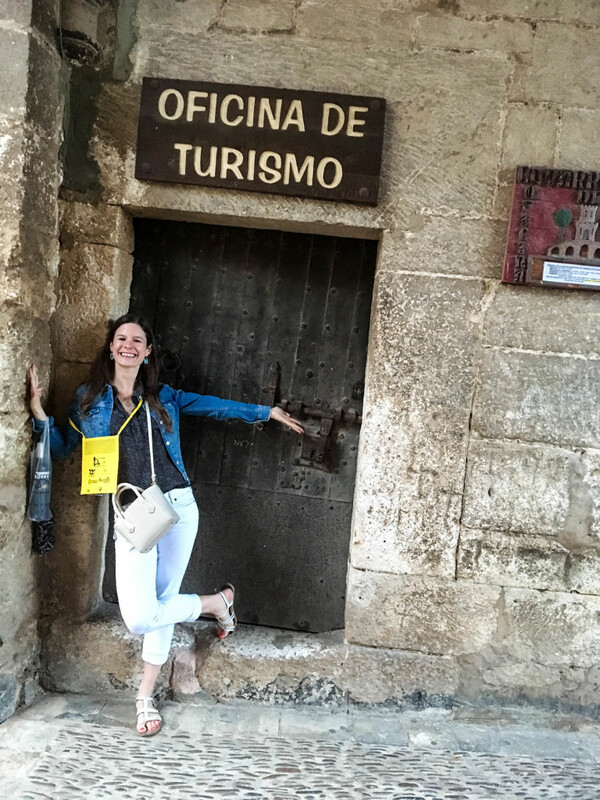 I can spend hours and hours on TripAdvisor and reading travel blogs. So, instead of just a week of excitement of traveling, I actually get months of excitement from all the planning. Due to our love for traveling and my passion for planning, Luke and I decided to try to do a big trip every year. It may not always be international (Alaska and Hawaii are still on my “must go” list, as is Napa), but hopefully many trips will be overseas. 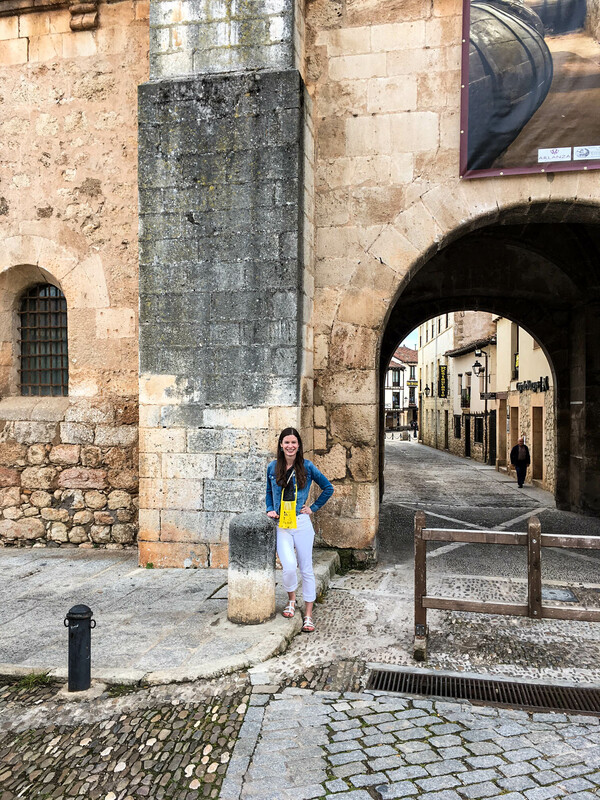 When it comes to choosing a destination, I love picking places with lots of culture, great food, and preferably a great wine scene. At this point in our lives, I also gravitate towards budget friendly destinations. Portugal fit all of the requirements! Our flight to Portugal, round trip from Boston, was $475 per person. To fly to Europe! Round trip! We are paying almost the same amount to fly to Arizona for my cousin’s wedding. 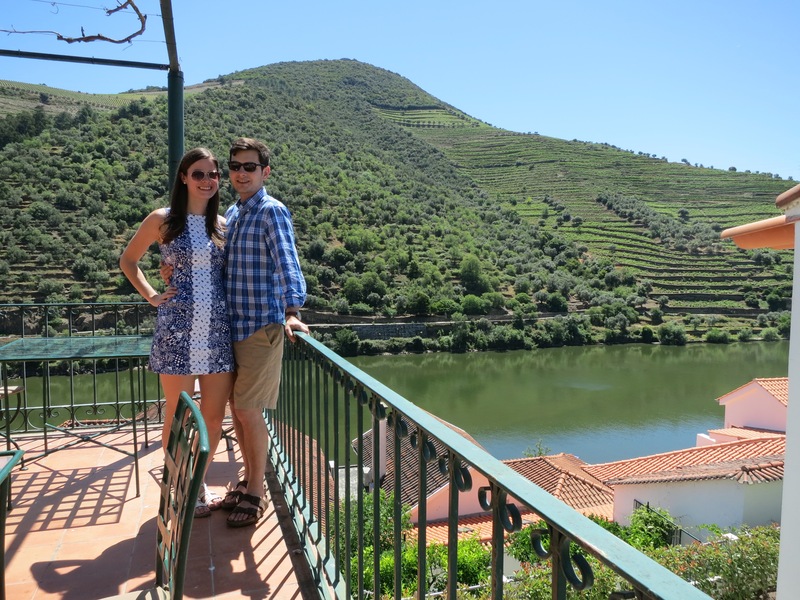 In addition to that, we only spent about $450 on lodging for our entire week in Portugal. The food was very reasonable, though there were a few Michelin star restaurants you could splurge on if you wanted to, and you could get a good bottle of wine at dinner for under $10. One of my favorite glasses of wine from the trip was under a Euro. Portugal was absolutely gorgeous, had great food and wine, had friendly people who spoke English, and it was cheap! Take me back! Day 7: Ericeira then flight back to the U.S (at 3:15 PM). 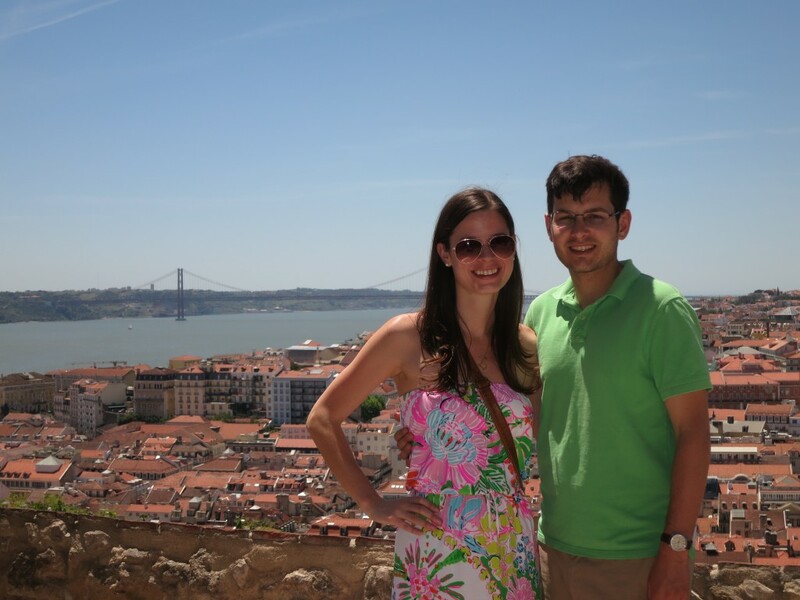 Because we were flying into Lisbon, we knew we wanted to spend a few days there. People call it one of the “hidden gem” cities of Europe, and it truly is! 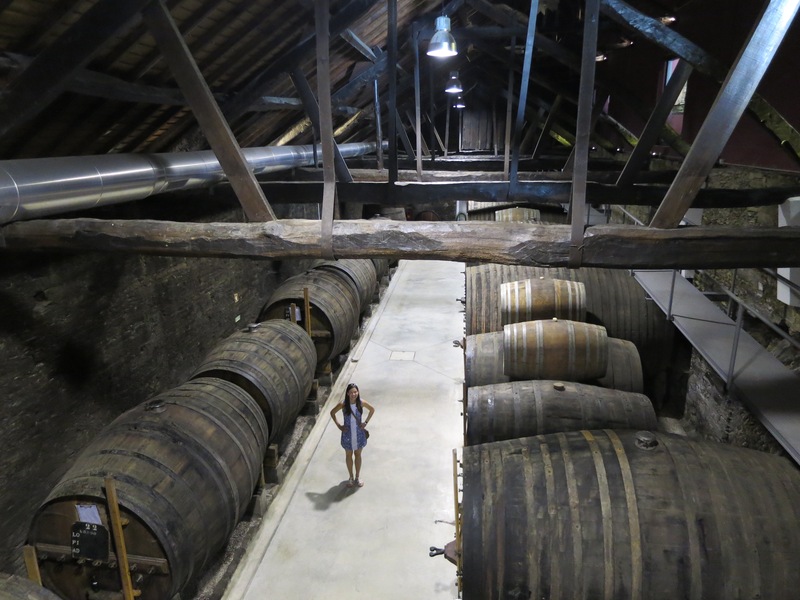 I also knew I wanted to check out Portugal’s up and coming wine scene. 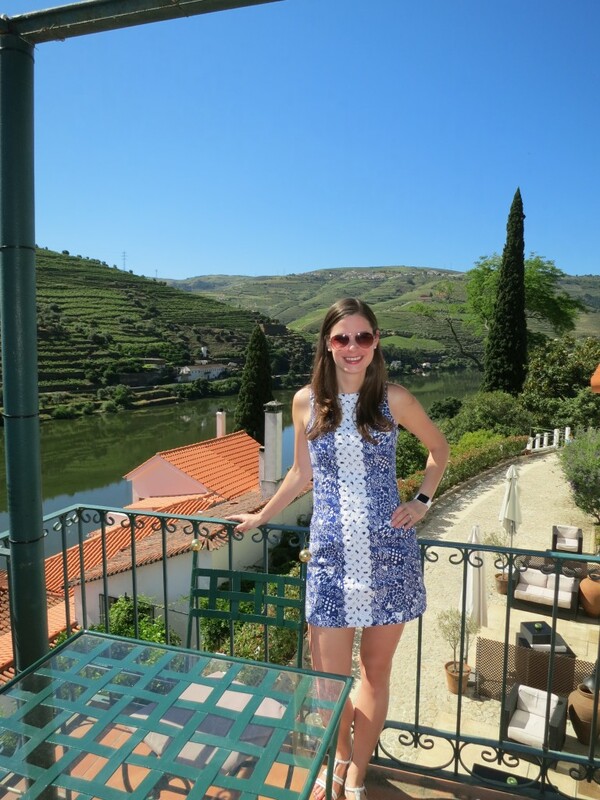 The Douro Valley has been called the most beautiful wine region in the world, so I had to add it to our itinerary (despite the three hour drive North!). 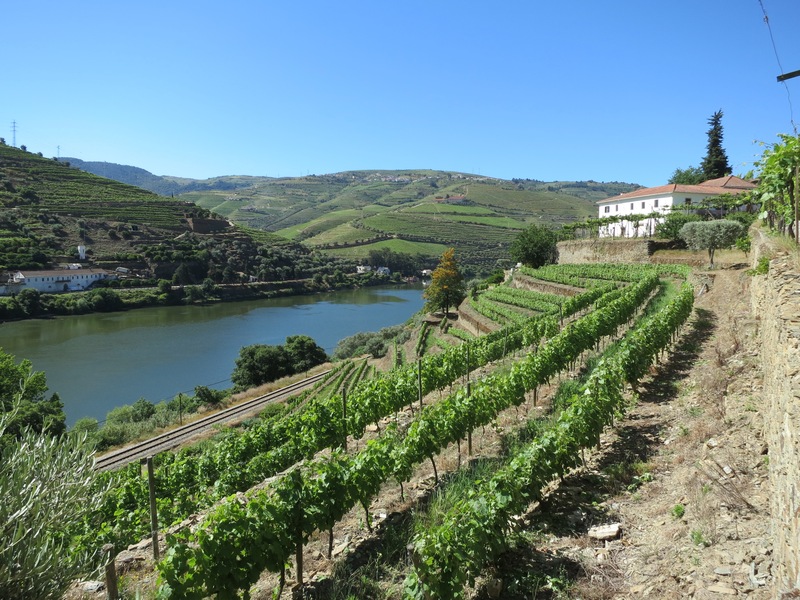 Since we were already up North, Porto seemed like an obvious stop after the Douro Valley. 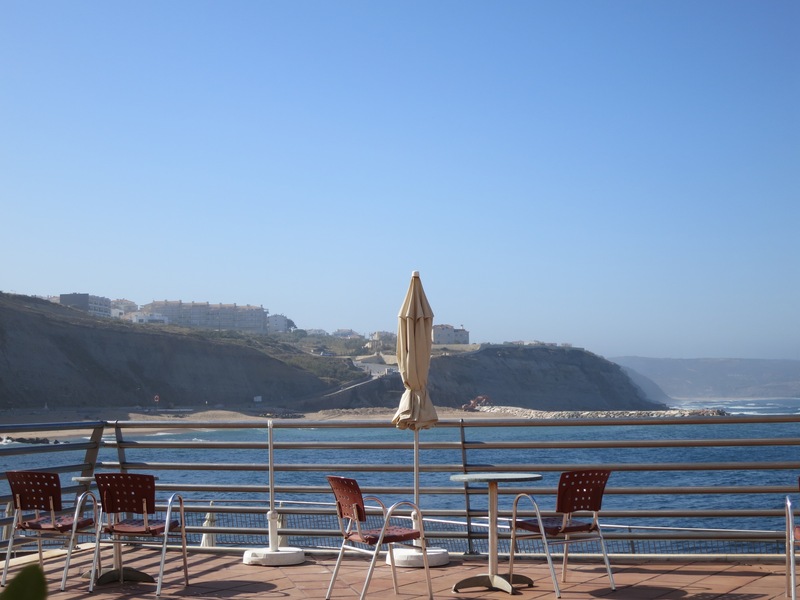 Then, because I didn’t want to risk driving over three hours the day of our flight back to the U.S., we added on another stop in a cute seaside village called Ericeira. This allowed us to get a taste of Portugal’s beautiful beaches without traveling all the way down to the Algarve. 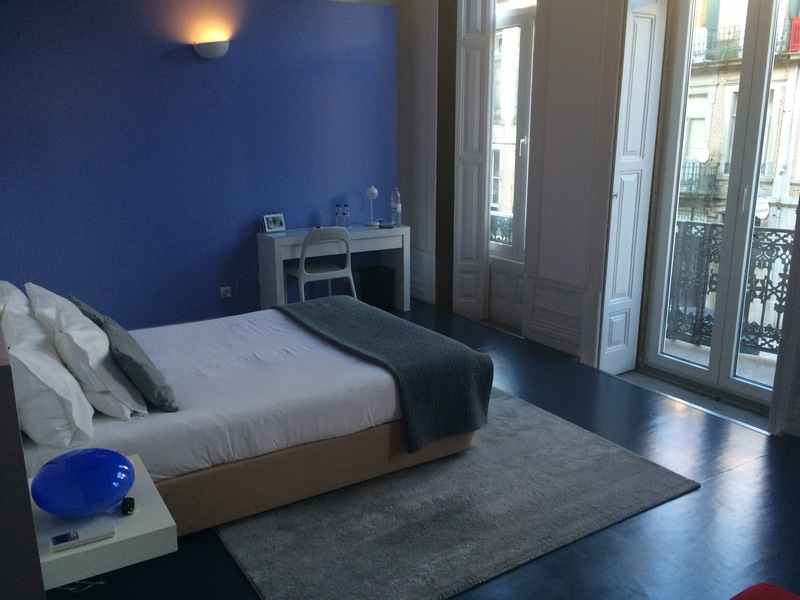 We enjoyed Teresa’s apartment and it was as we expected from the pictures on Airbnb. However, I want to warn anyone visiting from April-October that there is no air conditioning! Somehow, I missed this when I booked the apartment. Luckily, the highs only got to about 80 degrees fahrenheit, so it wasn’t too warm in the apartment, but we were a little uncomfortable sleeping at night without AC. 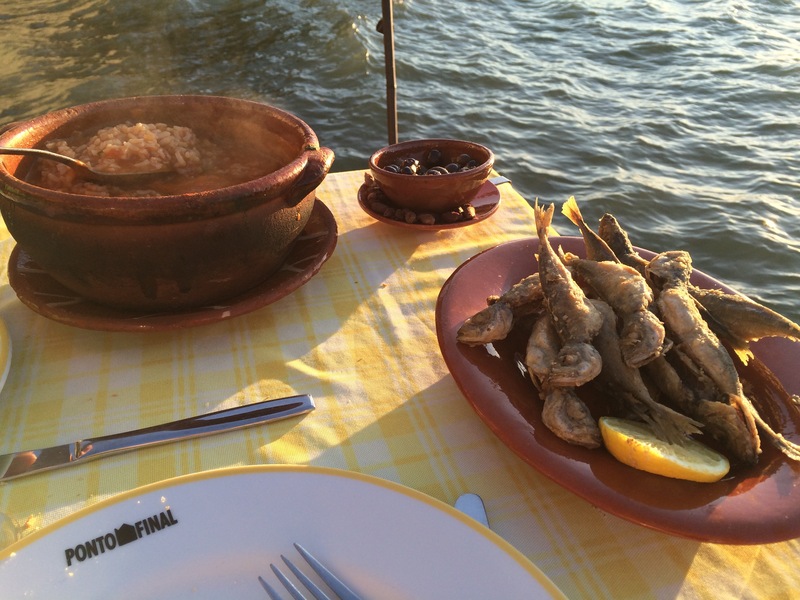 It was the perfect size for the two of us and had a great view of the Tagus river. The apartment was in the Alfama historic district. 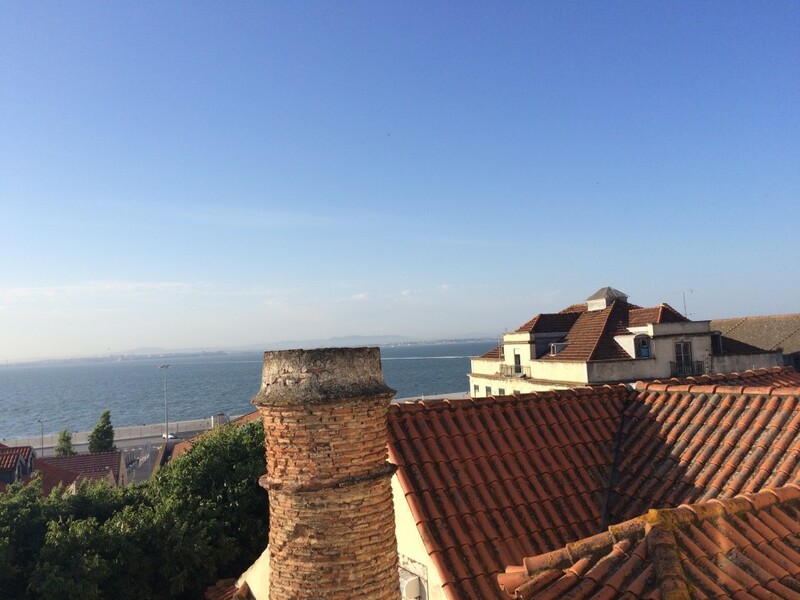 I am so glad I chose to stay in Alfama! 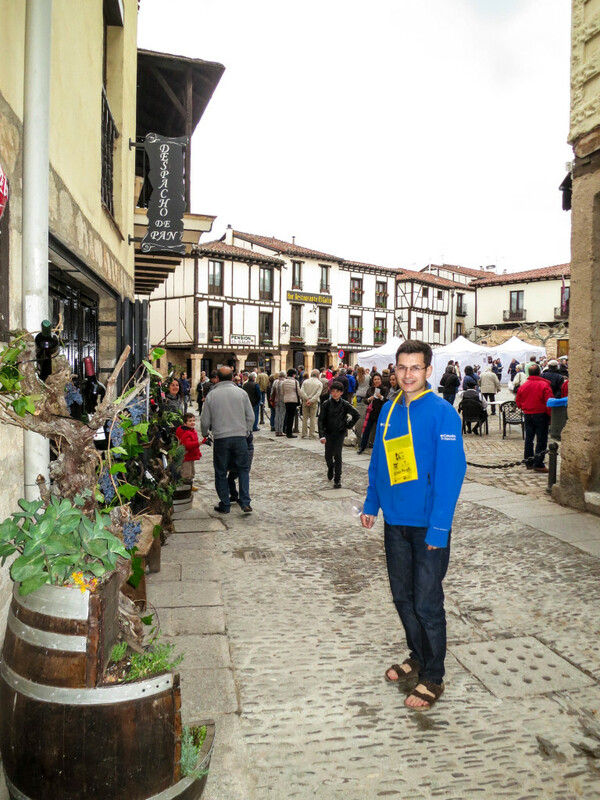 It was close to most of the tourist destinations and we could walk everywhere. Alfama was very charming and beautiful place to walk around in. 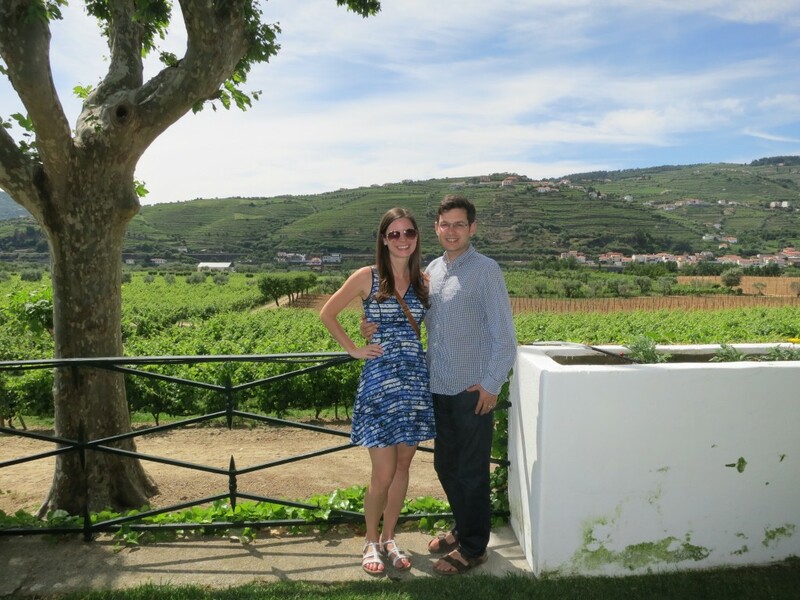 We really enjoyed out stay at Quinta de la Rosa. We stayed in the Sophia room that had a nice balcony with a sitting area that looked out onto the Douro River. We thought it was really cool to be in the older part of the hotel – like a room out of Downton Abbey! The bathroom was large and spacious, and the air conditioning worked well. The property itself was beautiful and we only wish we had stayed more than one night so we could explore the property more! There was a beautiful pool, many sitting areas and gorgeous gardens, and of course, the vineyards! Overall, we loved our stay and would recommend the hotel to friends. We did the 11 AM tour and tasting in the morning and enjoyed it. 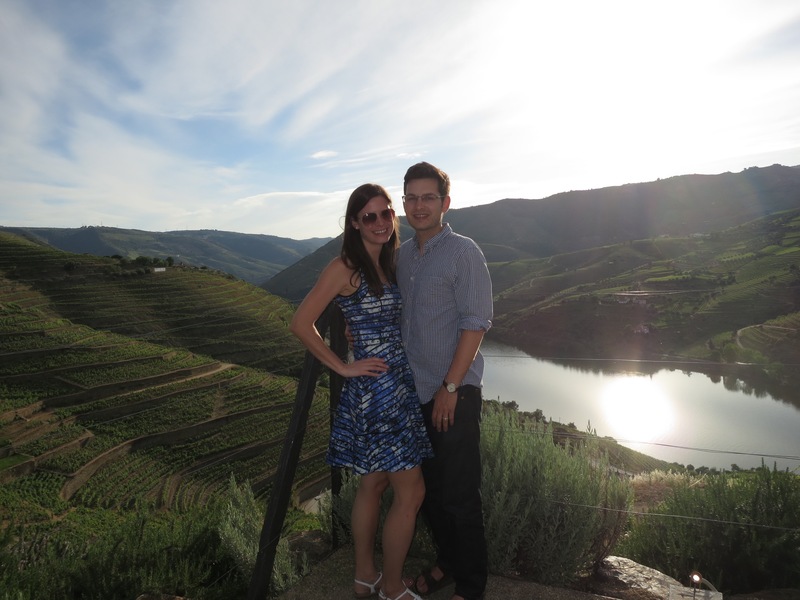 It was nice to sleep in, have a wonderful breakfast overlooking the Douro, and walk right over to our tour and tasting. We loved our stay at 6Only! It truly is one of the hidden gem hotels of Porto. Mariana (the owner) was very nice and very helpful. 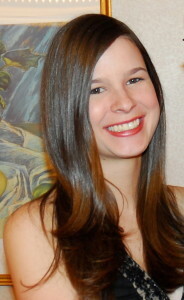 She gave us many tips and booked us a reservation for dinner at a wonderful restaurant. Our room (#1) was very spacious and had a nice bathroom and sitting area. It also had tons of windows with partial balconies. The high ceilings and decorative ceiling in the room gave it so much character! Breakfast was good and we loved the little details such as a welcome glass of port and apples and water in our room. 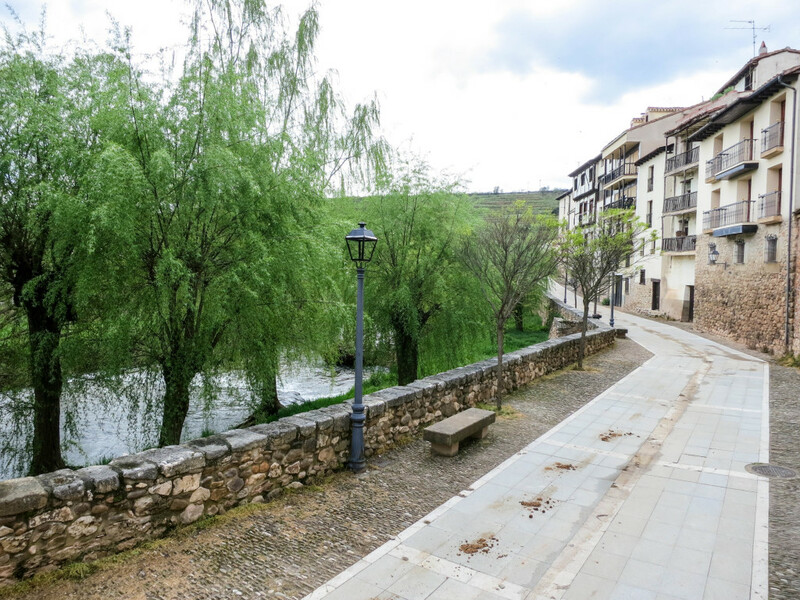 The hotel was situated in a great area to walk to all of the tourist attractions. We had a very short but fabulous stay in Porto and would strongly recommend 6Only! The hotel was a little old, but the view off our balcony was amazing. We loved being right on the water and a short walk into town. Ericeira is a quaint fishing village with lots of charm and great seafood. You can also easily walk to the beach if it’s warm enough to swim. Breakfast was fabulous! There were so many choices, including champagne to make mimosas, and we got to eat outside overlooking the ocean. Talk about a breakfast with a view! Our only complaint was our bed. It was two twin beds pushed together and they seemed to be covered in some kind of plastic under the sheets, which made the beds a little uncomfortable. Apparently they have some king beds, but not many. Other than that, we really enjoyed our stay and would recommend the hotel, especially for such a great price ($80!). And that’s a wrap for my overview of our trip. It was an absolute blast and I would go back in a heart beat! If you have any questions about our itinerary or hotels, comment here or email me. I’m looking forward to recapping each city in future posts! My blog posts are few and between these days! I have quite a few recipes to share from the past few months, I just need to sit down and write them! It’s been a busy but fun spring over here. We’ve had a mix of beautiful weather and rain here in Winston-Salem. Luckily, we had gorgeous weather for our one year anniversary a couple of weeks ago. 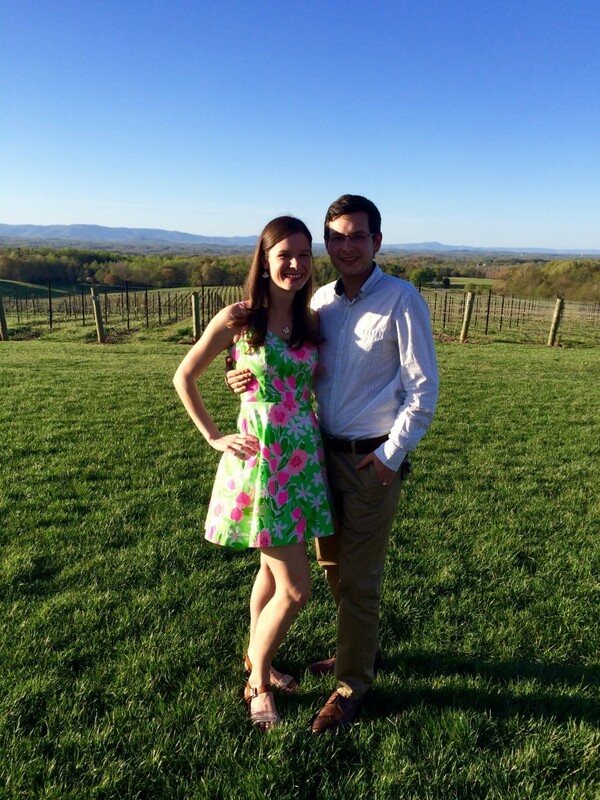 We celebrated with a fun wine dinner at Raffaldini Vineyards. 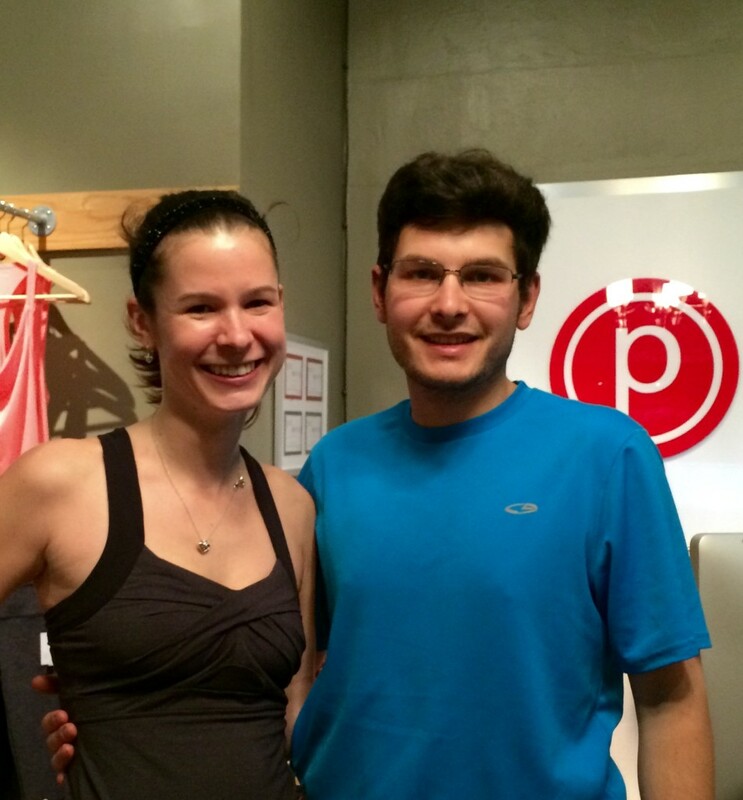 Our anniversary weekend also coincided with another Pure Barre milestone. 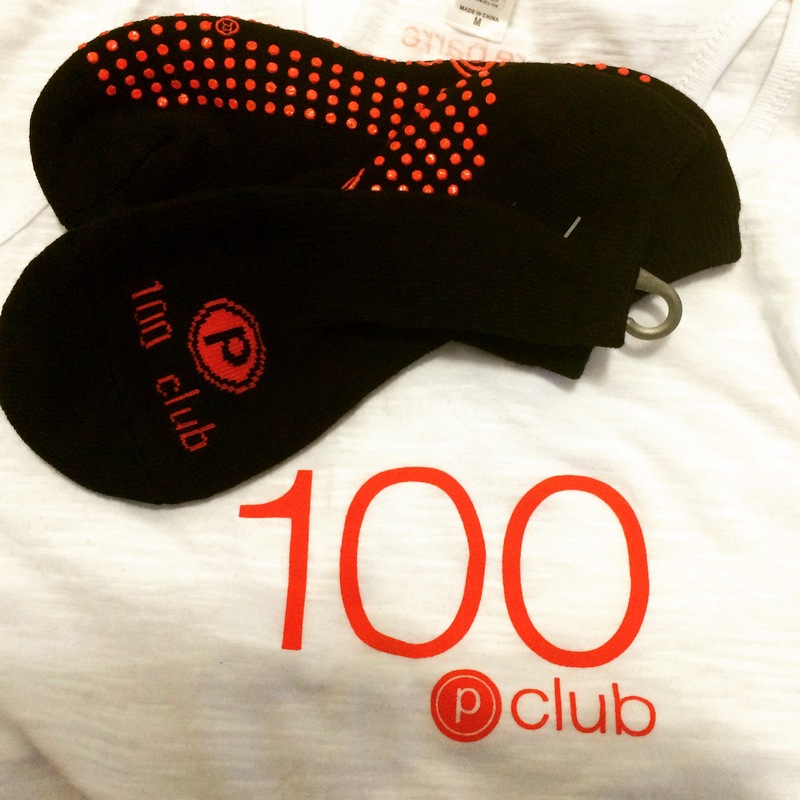 After completing my studio’s challenge of 21 classes in 31 days, I finally made it into the 100 club! I’m still loving Pure Barre, and I don’t think I’ll be switching up my routine any time soon. As we’ve had a busy few months, I’ve been gravitating towards super simple and fast recipes. I wanted a healthy grab ‘n go snack to bring to work and desperately needed to use some browning bananas on the counter, so I found this recipe for banana muffins and decided to give it a try. These muffins could not have been easier to make! I loved that all I had to do was throw all my ingredients in a blender, blend, and pour. No dirty bowl or spoons! And the batter is so much easier to pour from a blender than a bowl. Simple, healthy ingredients make these muffins a perfect snack. You can customize them by stirring in chocolate chips, berries, nuts – whatever your heart desires! These muffins have become a new staple in our house. I hope you give them a try! 2) Grease a muffin pan and/or muffin liners. 3) Add all of the ingredients (except the chocolate chips, nuts, or berries) to a blender and blend on high until smooth and creamy. 4) Stir in your chocolate chips (or other mix in). 5) Pour the batter into the muffin pan (about ¾ full). 6) Bake for about 15 minutes, until a toothpick comes out clean. 7) Let cool for at least 10 minutes and enjoy! Note: These keep for about a week, but can also be frozen and enjoyed later. This week marked two important Pure Barre milestones: Luke’s first Pure Barre class and six months of Pure Barre for me! A couple more months and I will be a member of the “100 Club”. I have to give it to all of the guys who came – they really did try! Major props to my husband for agreeing to come and giving it his all. So, what did Luke think after his first class? “It was hard and a real workout, but I definitely didn’t do a lot of the tucking and other moves right. I gave up many times when I couldn’t hold a position for more than few seconds, and made the mistake of using the 3 pound dumbells instead of the smaller ones. If you’re doing all the exercises correctly — or close enough — it’s all really hard. And two days later I still feel sore.” Truth. He didn’t seem quite as distraught from the experience as this guy, but he certainly has a better understanding of how hard Pure Barre actually is and why I enjoy it. Explaining what we do in class can be very difficult, and now he has a sense of what I’m doing night after night. 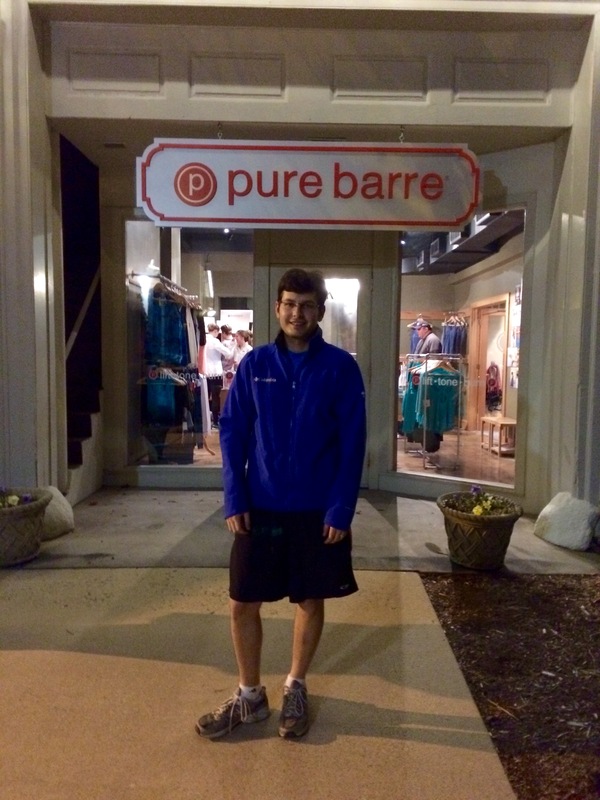 As for a six month update… I still love Pure Barre for all the reasons I stated before. The only thing that has changed is that I sweat a lot more than I used to – probably because I’m finally doing most of the moves correctly! Whenever I feel like a move is easy, I listen to the instructor and look around the room. Usually, I’m not on my highest tippy toes or with my hips below the barre. An inch higher on my toes and I feel the burn. Six months of Pure Barre has definitely toned my body. I’ve said it before and I will say it again, I think I would do Pure Barre if only for the ab portion. My abs are more toned than they have ever been. As core strength is important for pretty much any exercise you are doing, Pure Barre is worth it just for strengthening my core so much. I still struggle with spending so much on Pure Barre, but as my husband says, if you’re going to spend money on anything, fitness will pay off in the end. Luckily, because of my concurrent love for running, I never do Pure Barre more than three times a week. I tell myself this keeps the price slightly lower, knowing that otherwise, I would probably pay for unlimited classes. In conclusion, my love for Pure Barre continues and I don’t see it stopping any time soon. I will continue to recommend it to anyone I know! And next time my studio offers a “Bring on the Men” class, count us in! On Saturday, I ran my third half marathon! My chip time was 2:27:20. When I saw the results, I realized that I was incredibly close to my half marathon PR of 2:25:43. I never imagined I would come close to a PR at this race, so I wasn’t really trying. Had I known how close I was, I would have pushed myself and PR’d this race! Oh well. I’m amazed that I came so close to a PR on an incredibly hilly course, as my current PR was a flat Houston race. Overall, the race went very well and much better than I thought it would. I had been checking the weather forecast all week and the chance of rain kept getting higher and higher. When I woke up Saturday morning, it was raining and there was a 90% chance of rain all day. I almost didn’t race because of this, but I didn’t want to throw away all of my training just because of rain! I spent Friday evening googling “running a half marathon in the rain” and reading everyone’s tips. The best tip I found was to wear a hat to keep rain from getting in your eyes – I was very glad I followed that one! I also wore a “breathable” rain jacket that I happened to have in my closet, but I ended up taking it off within the first two miles because I got too hot (it was about 40-45 degrees outside). Luckily, it only lightly rained for most of the race, with only a couple bursts of harder rain. I was wet at the finish line, but not drenched. The run itself went pretty well. As I expected, the course was very hilly. The first couple of miles were hard and I wondered why in the world I was running 13.1 miles again. The subsequent miles, up until about mile 8 or 9, were fairly good. I mostly stuck to my 3:1 run:walk ratio that I had trained with, with a few longer walking breaks when I hit steep hills. After mile 9, I was starting to feel sore and tired. The last two miles were brutal because I got an intense pain (which I have since learned is probably piriformis syndrome). I have never gotten a pain like that while running, nevertheless run through a pain like that! Somehow I made it to the finish line. The pain worsened throughout Saturday – walking was very painful and I was limping. On Sunday, the pain had dissipated a bit, and was almost gone when I woke up on Monday. I thought time had healed my wound, but the pain came back after I went for a short run on Tuesday night. I may take a few days off and hope it heals for good! I enjoyed the race course (except the hills). It was a nice running tour of Winston-Salem. I ran through some beautiful neighborhoods, in addition to some parts of the Wake Forest campus that I had never been to. I was also inspired by many of the other runners out on the course. There were some pretty old people out there giving me a run for my money! At the end of the race, I saw a girl hysterically crying out of happiness for finishing her first half. I wanted to go give her a hug and high five! As always, I’m glad I accomplished my goal and ran this half marathon. Training wasn’t easy this time (it never is), but the end was worth the means! Even though I question why I am doing it throughout each mile of a half, a few minutes after finishing I begin to think about when I will run my next. I am going to continue trying to meet my personal goal of running a half every year for as long as my body allows me to! Yesterday I completed the last long run of my half marathon training! I love the timing of this half because it allows me to get all of my training done and enjoy Thanksgiving, and then have the race be over just in time for the hustle and bustle of Christmas season. Yesterdays’s run was hard. Really hard. 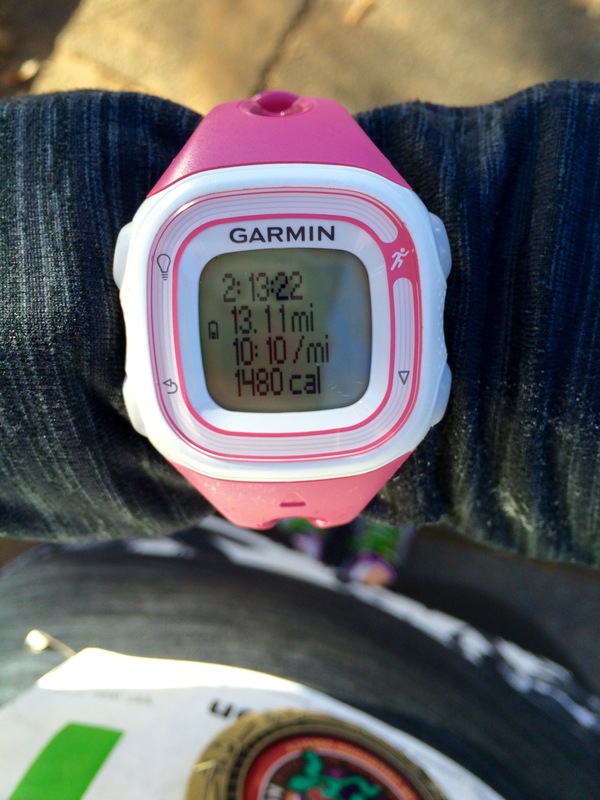 I once thought that long runs get easier the longer you’ve been running. Nope. I had to fight for every mile today. I took a few breaks and somehow made it through 12 miles. I am so glad I am done with long training runs. Just two weeks until I add another half marathon to my belt! Enough about running! Let’s get to this amazing recipe I have for y’all today. Lately, I’ve been searching for a salty snack in the afternoons and not finding anything that is both healthy and appealing in my pantry. When I feel like putting in the effort, I’ve been making my own popcorn. But, more often than not, I don’t have the patience to wait for the kernels to pop and I end up grabbing handfuls of goldfish. 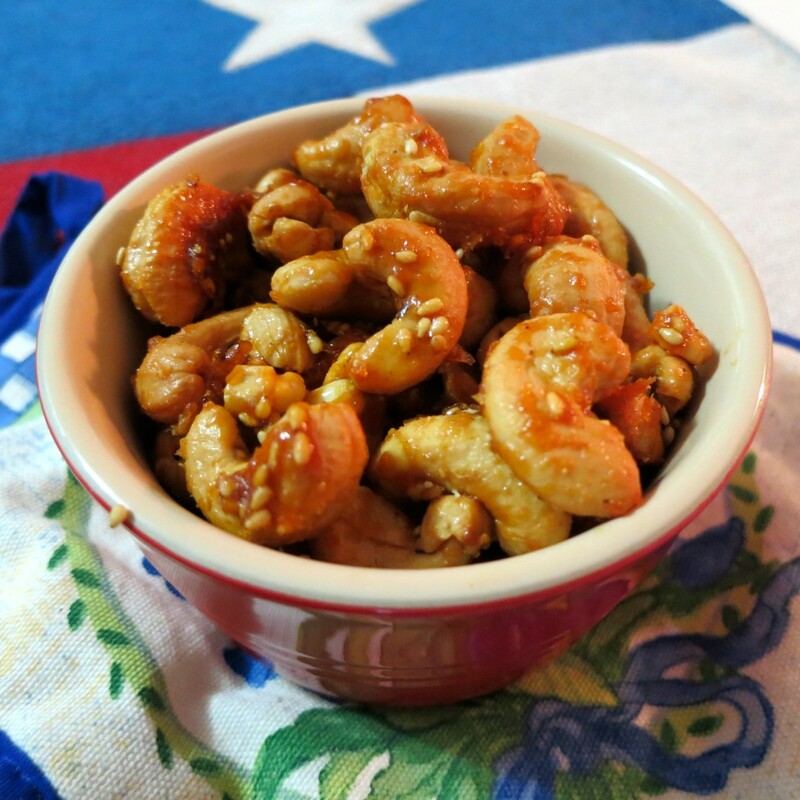 I finally turned my oven on and created a healthy homemade snack that I love: Maple & Sriracha Roasted Cashews. Just the right amount of sweetness, spiciness, and saltiness! In general, I’m not a huge fan of nuts. While I’ve found that I really enjoy flavored cashews, they tend to be the most expensive nut at the store. There are some flavored cashews that are quite good, but they can become a pricey addiction. It’s much cheaper to buy a tub of cashews at Costco and make your own! 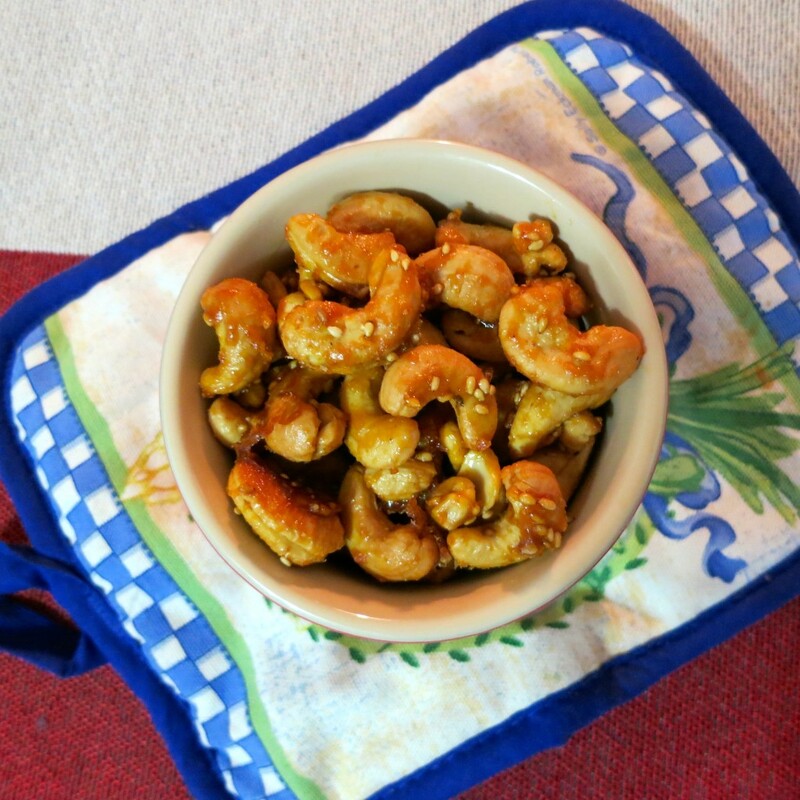 These roasted cashews are incredibly easy to make and come together in less than 20 minutes. The only tricky part is that the flavoring will stick to your pan if you don’t use a silpat mat or parchment paper. 1)	Preheat oven to 350. 2)	In a large bowl, mix together the maple syrup, sriracha, olive oil and ginger. 3)	Add the cashews and stir to coat. 4)	Pour the cashews onto a baking sheet lined with a silpat or parchment paper. 5)	Spread them in an even layer and sprinkle the sesame seeds on top. 6)	Bake for about 15 minutes, until golden. 7)	Let cool for at least 10 minutes and enjoy!